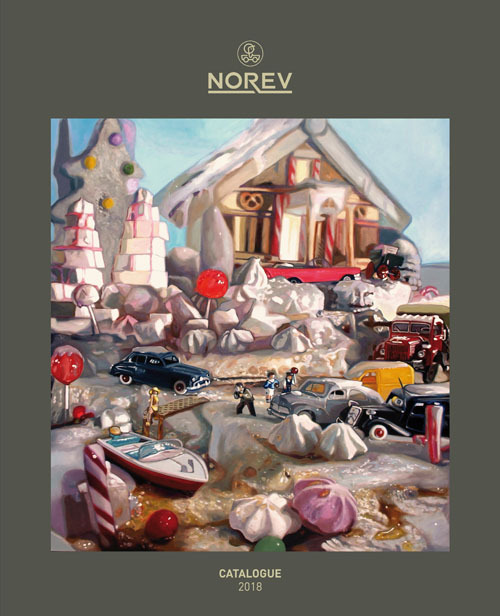 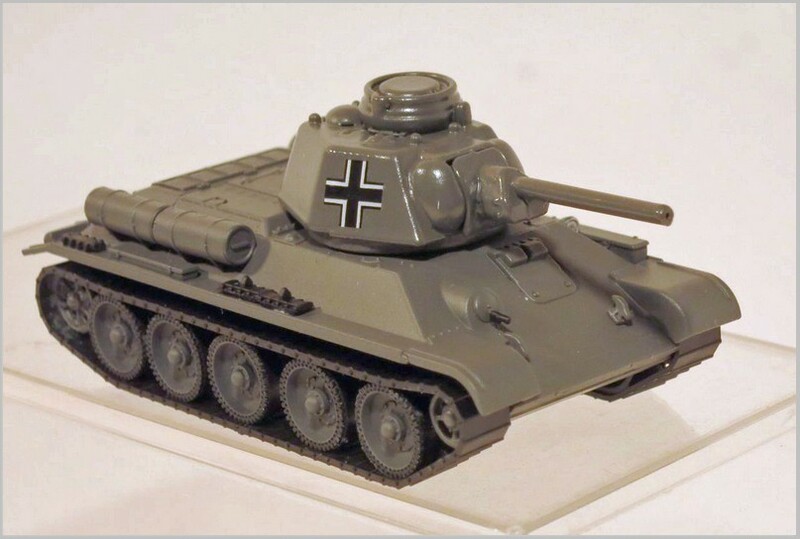 In this article I look at the models announced by Norev in the first three months of the year. 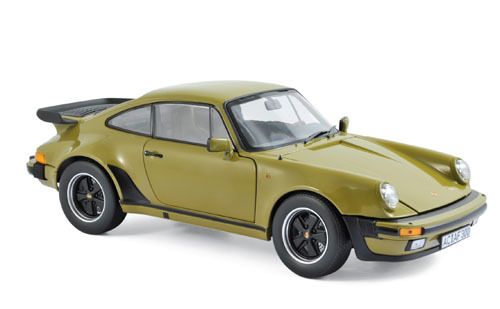 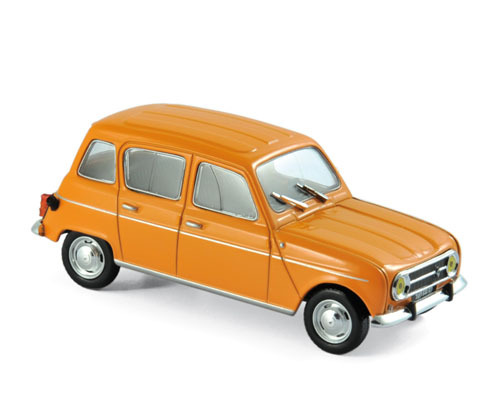 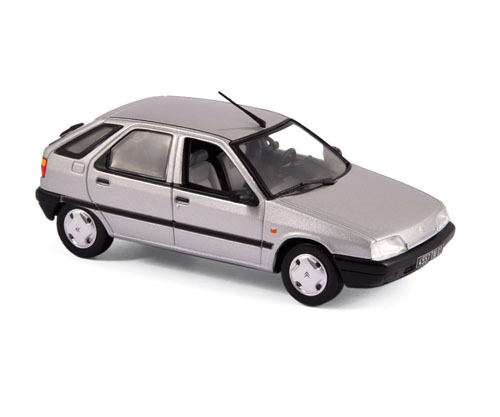 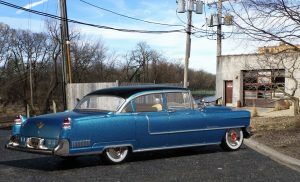 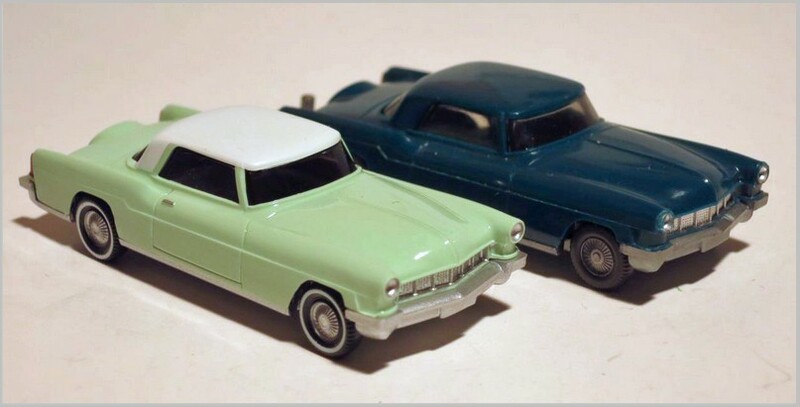 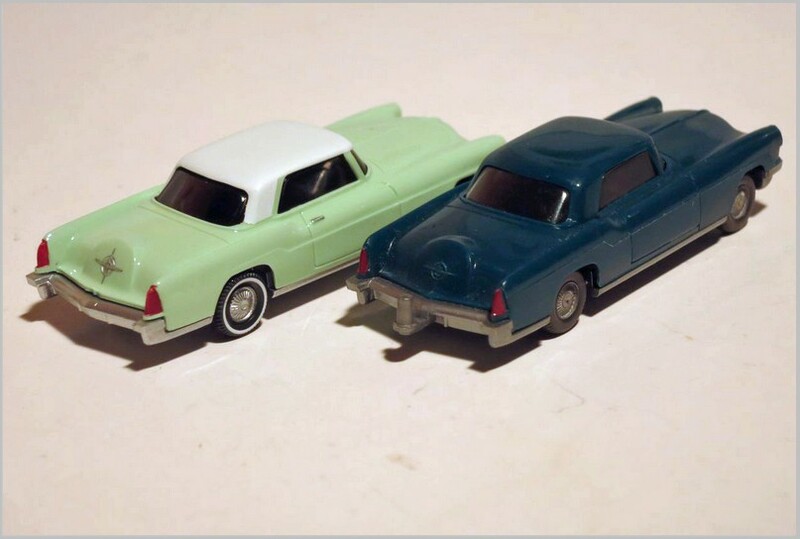 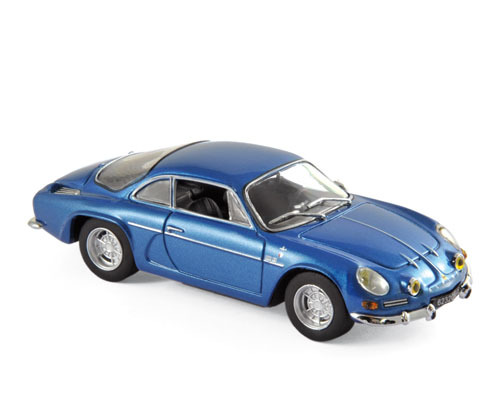 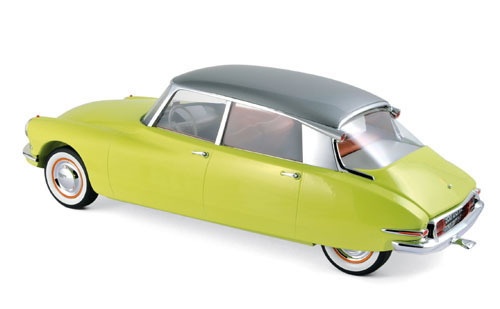 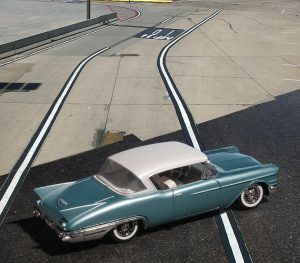 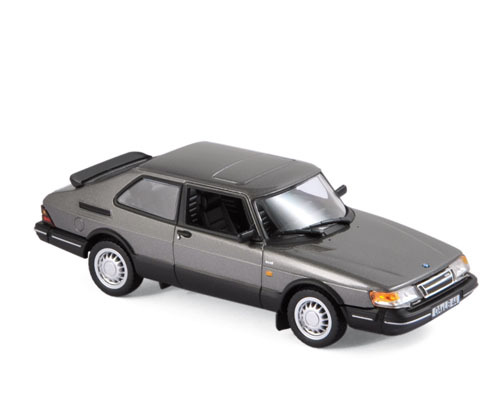 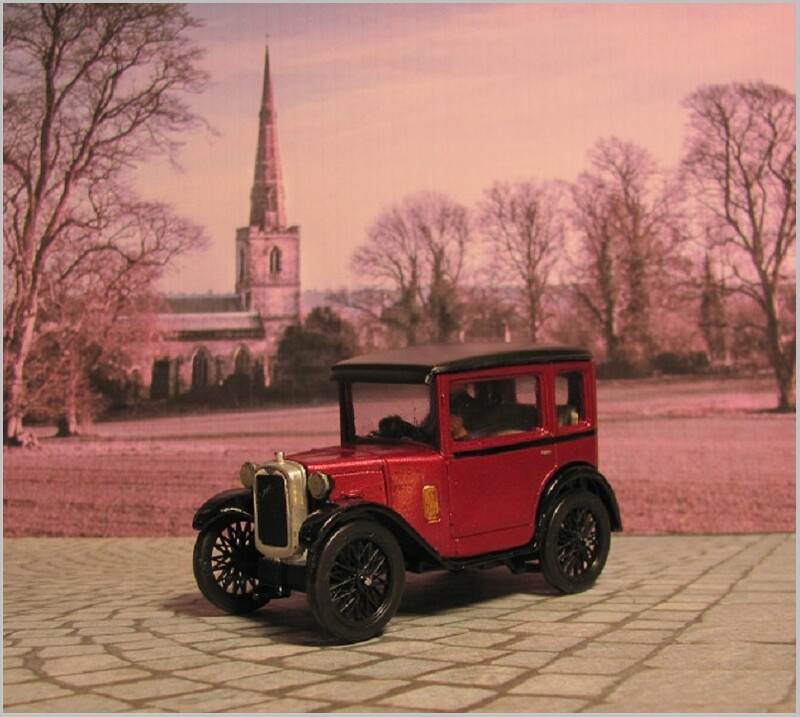 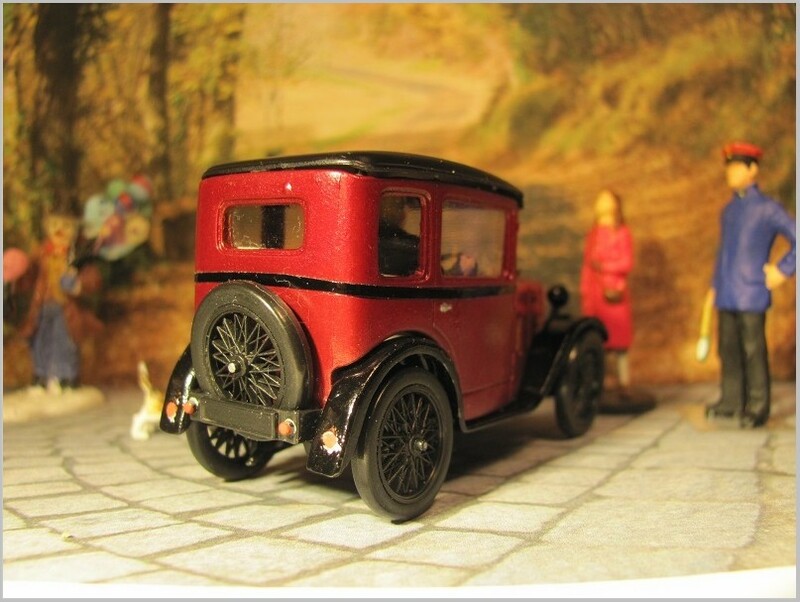 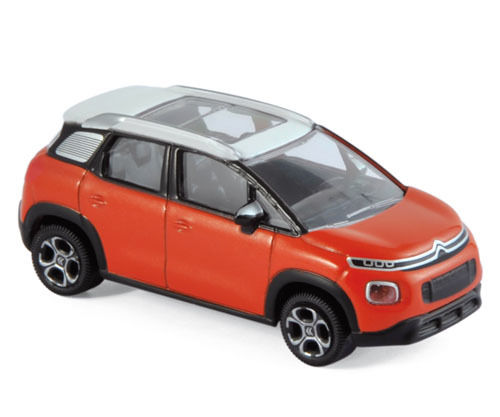 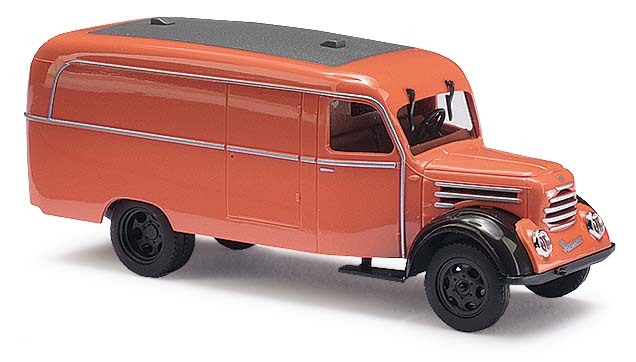 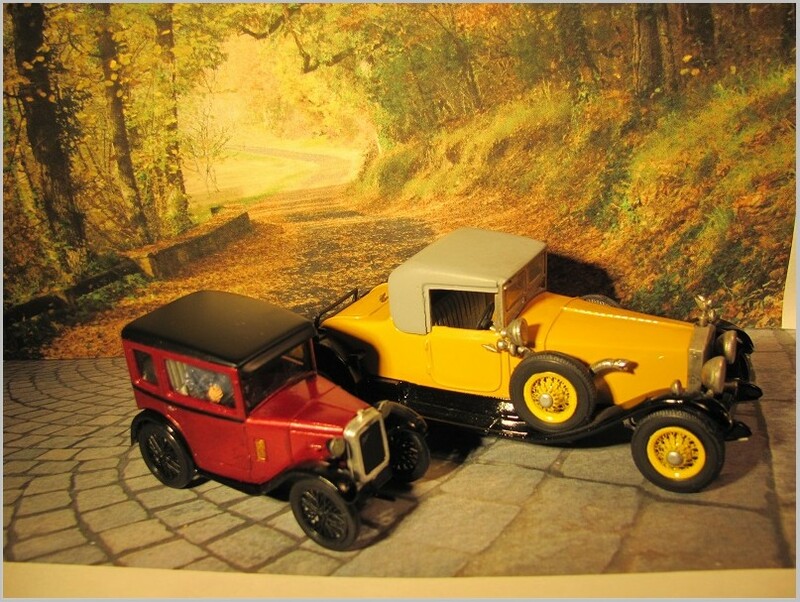 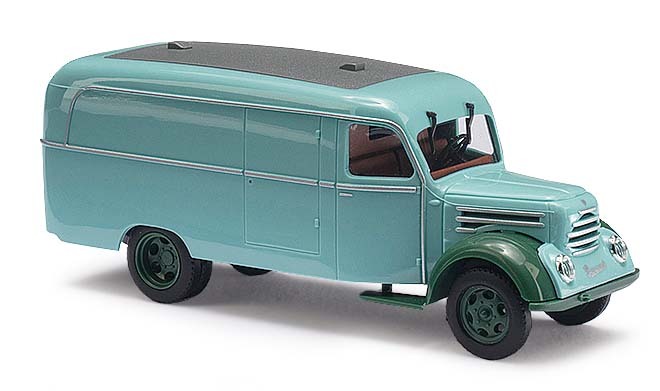 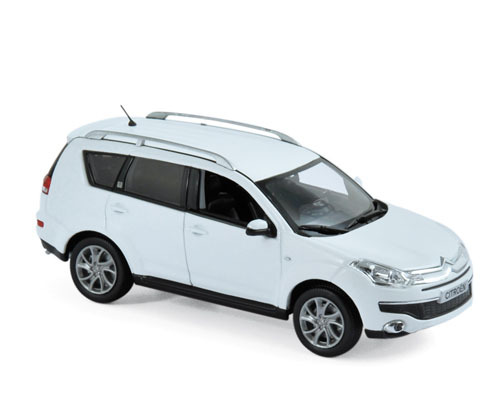 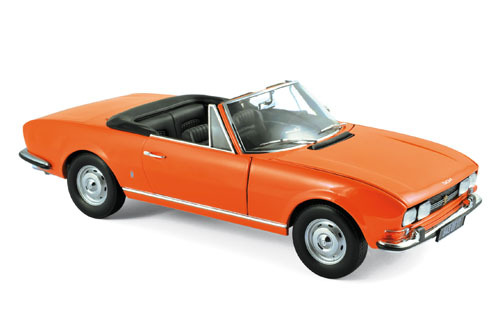 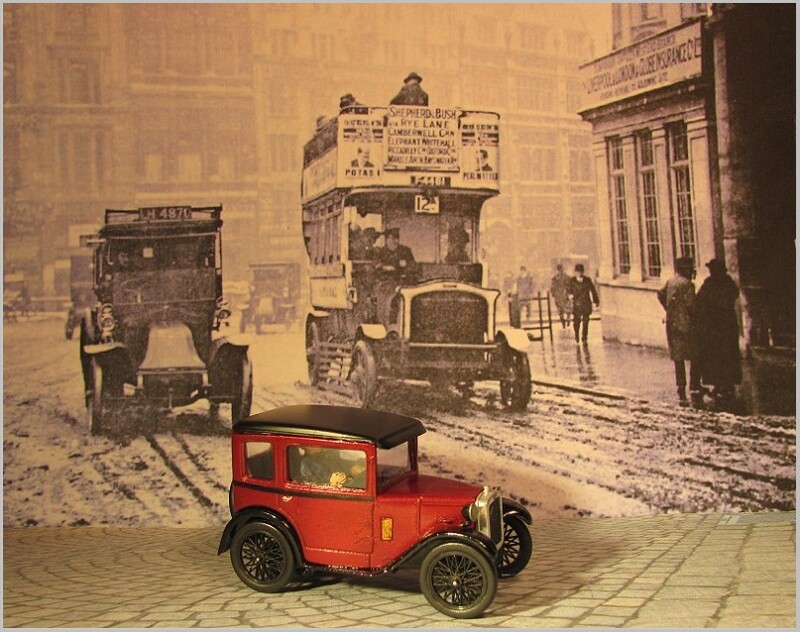 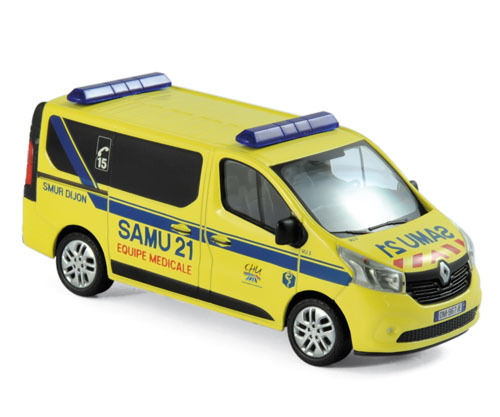 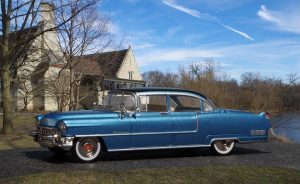 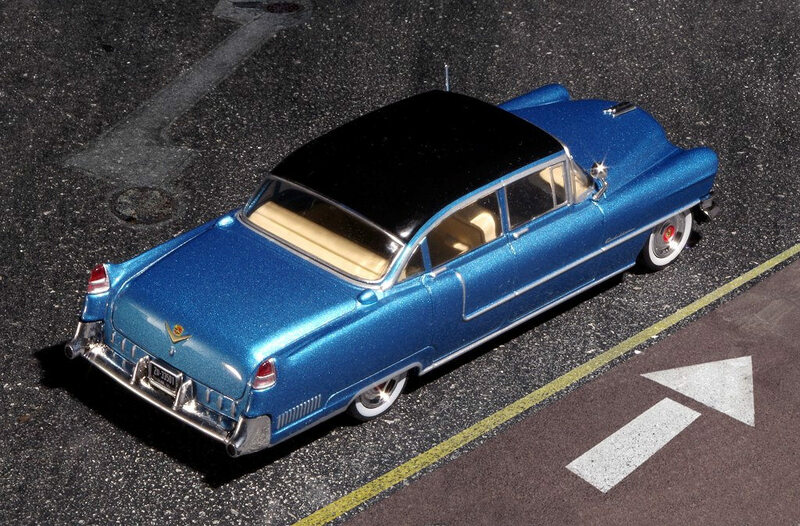 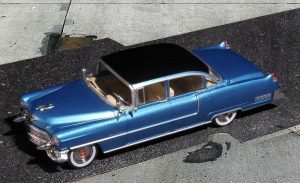 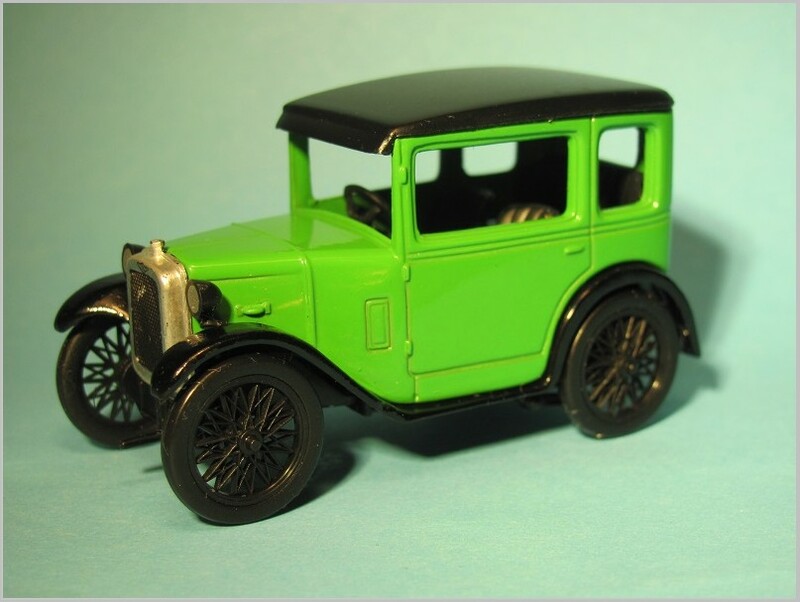 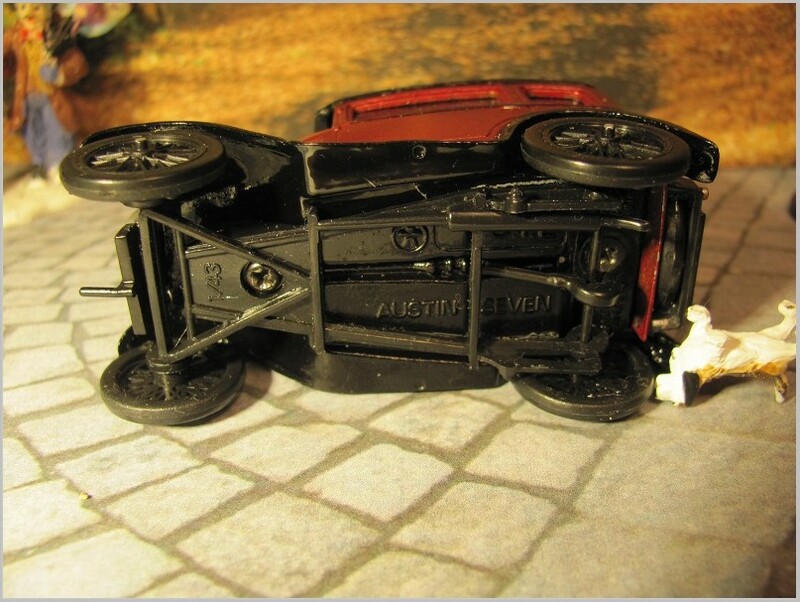 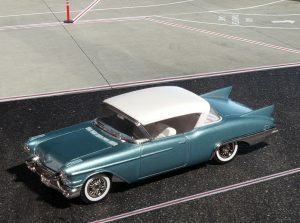 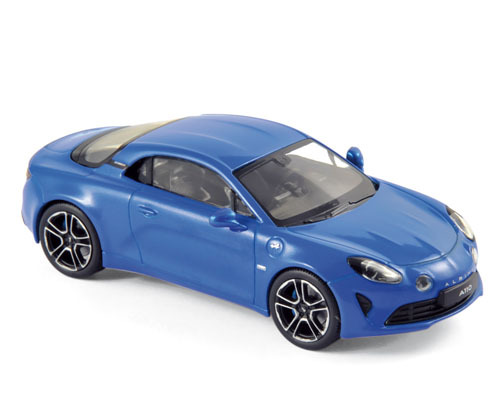 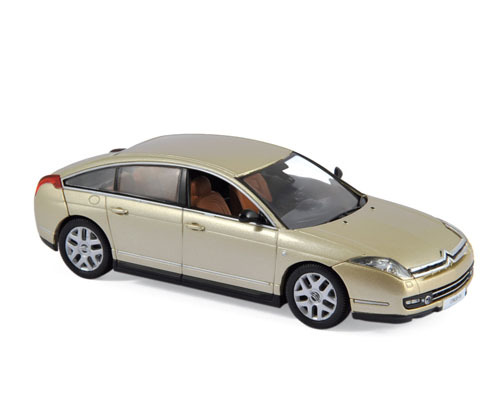 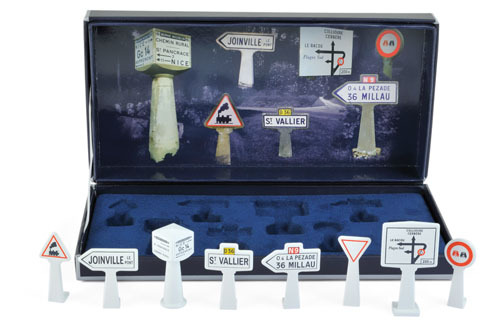 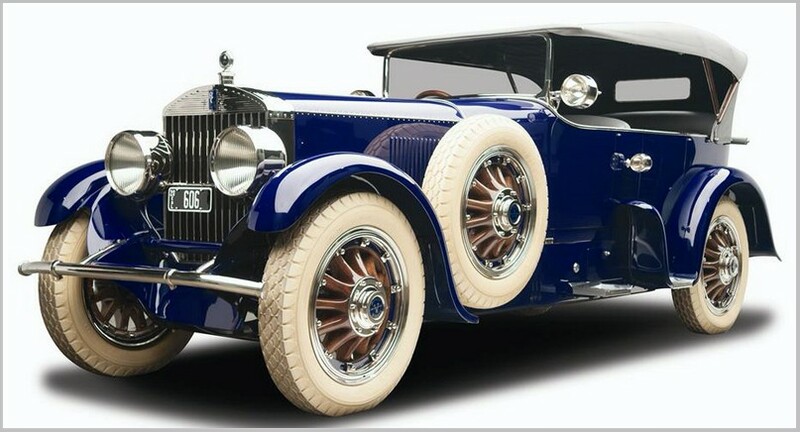 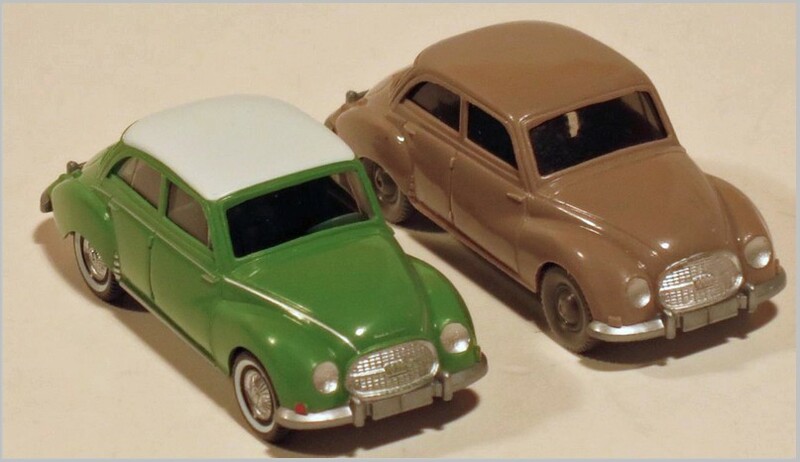 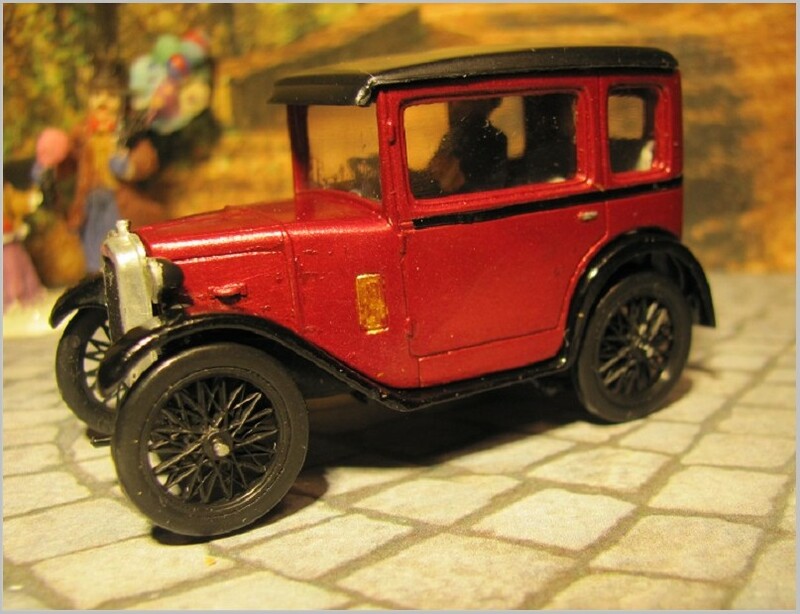 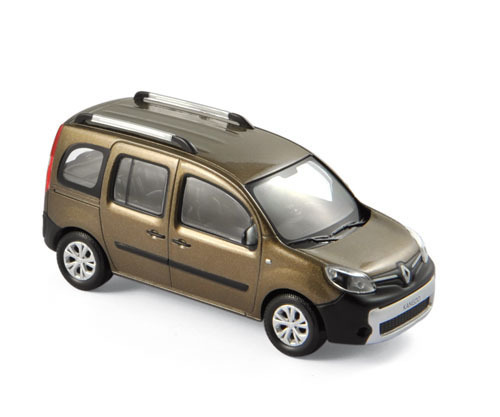 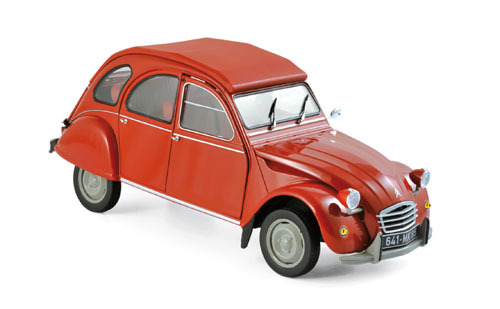 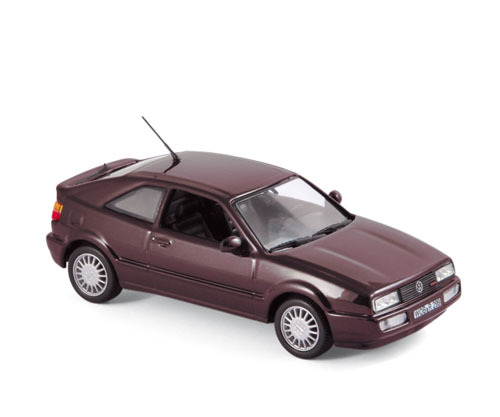 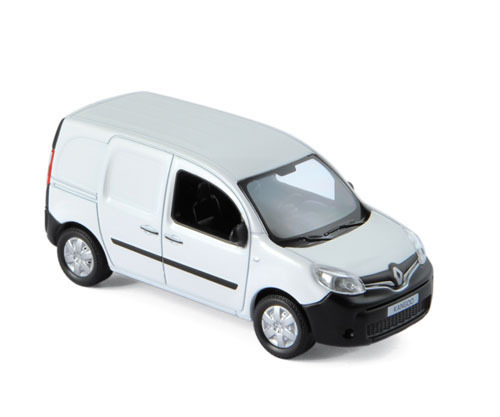 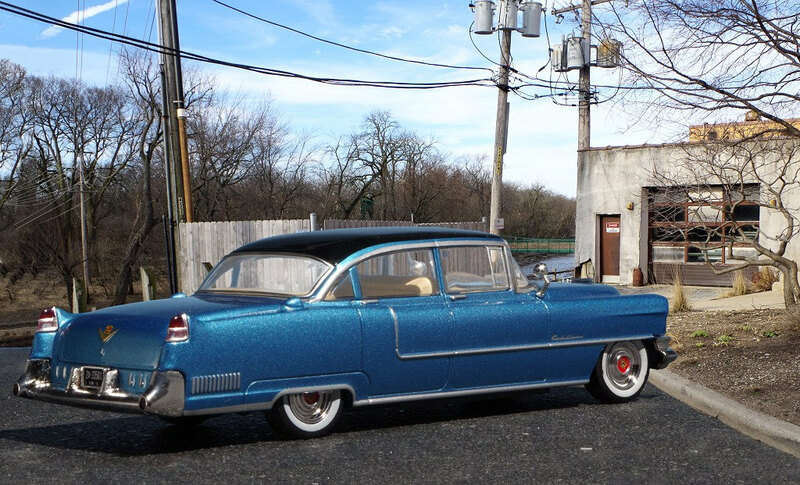 This article is the third in a short series looking back at models UH made to 1:87 scale which were included in a French partwork The Golden Age of French Cars which was produced in about 2009. 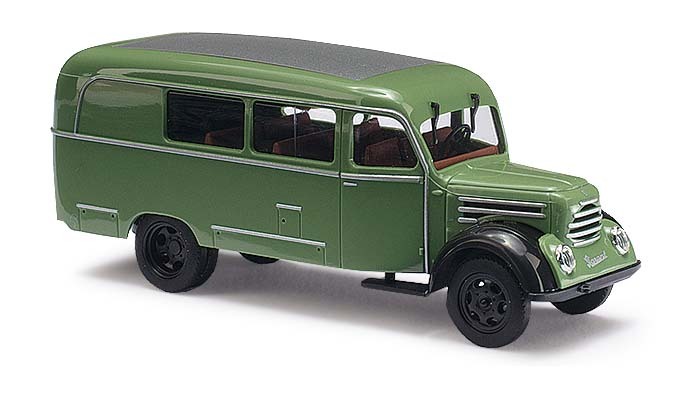 The first part featured the Citroën Traction and can be found here. 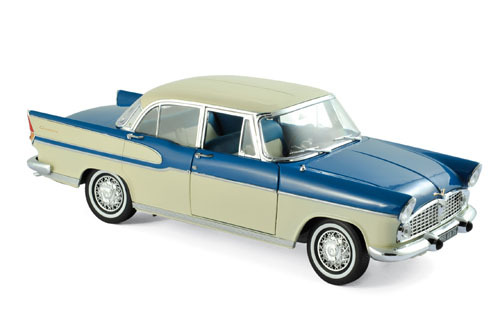 The second covered Peugeot 204s and can be found here. 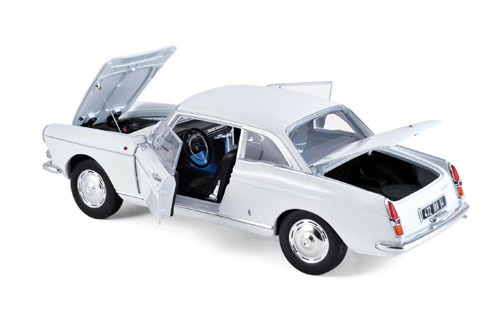 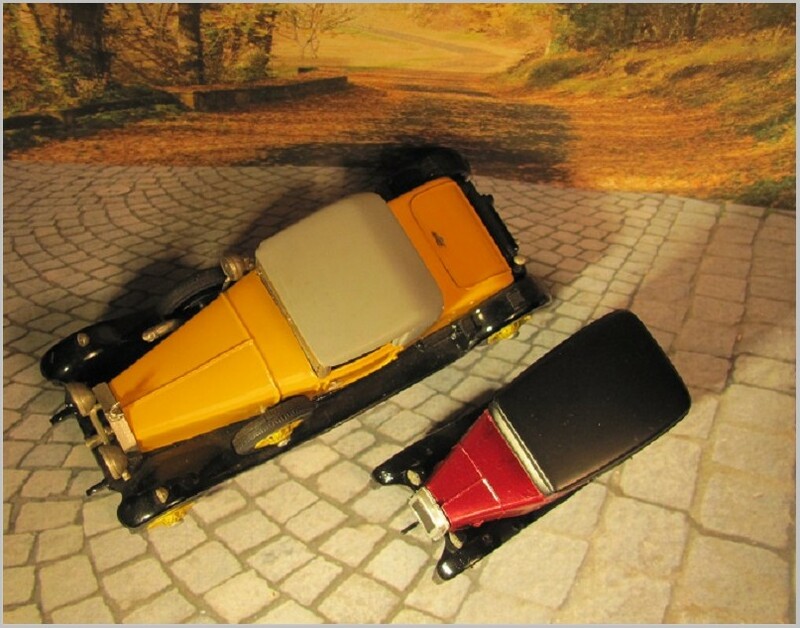 This partwork had a case holding two 1:87 scale models which represented two different versions of the same car. 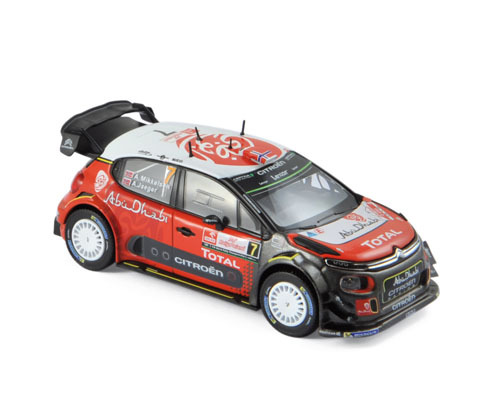 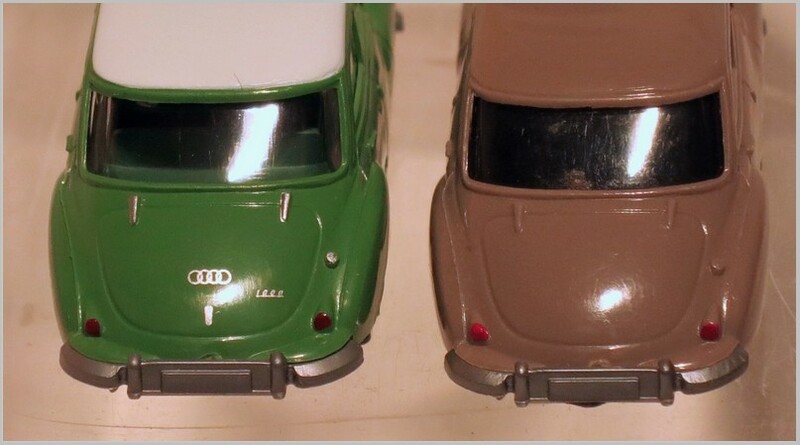 These models were all diecast in metal in China for France and are fitted with a nice turning key type fixing that allows them to be easily removed from the case for display. 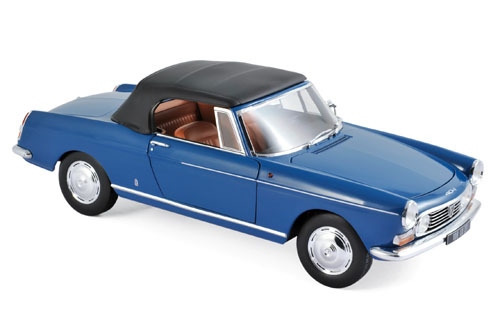 The models from this series that I will look at in this article are of the Peugeot 403 Cabriolet. 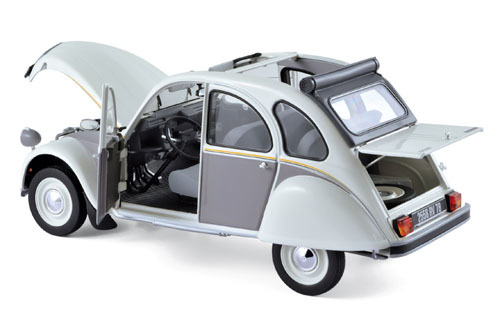 The Peugeot 403 was made between 1955 and 1966. 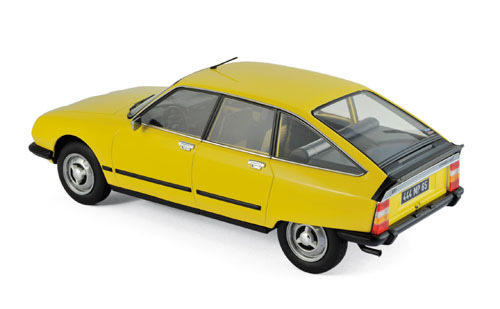 A total of over 1.2 million were made of all types, including commercial models, which meant it was the first Peugeot model to break the one million mark. 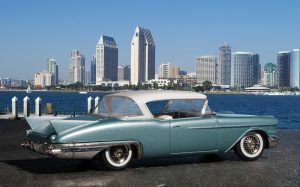 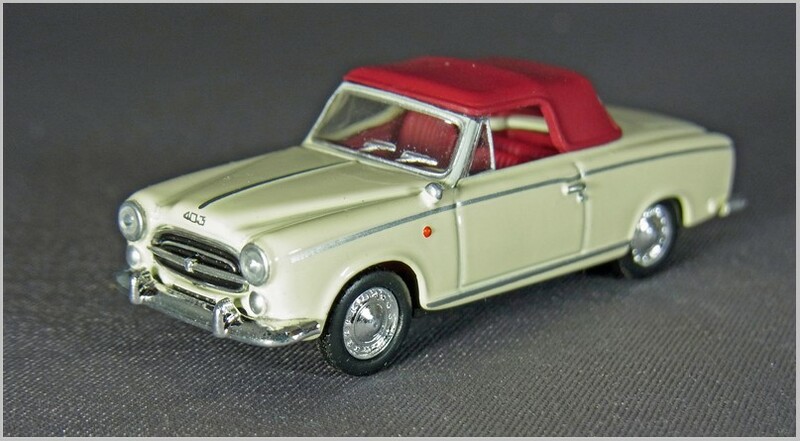 The cabriolet was introduced in 1956 and withdrawn in 1961 when the first 404s were launched. 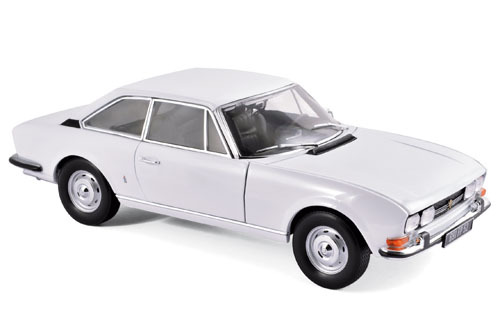 The styling was by Pininfarina and was in the three box style that was to dominate the saloon car market until the coming of the hatchback. 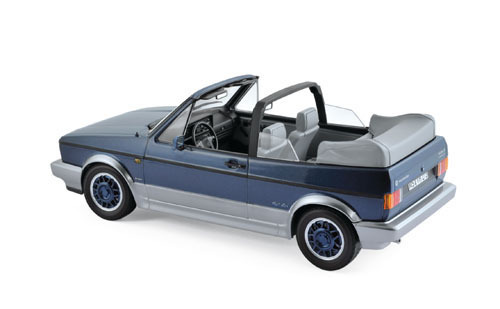 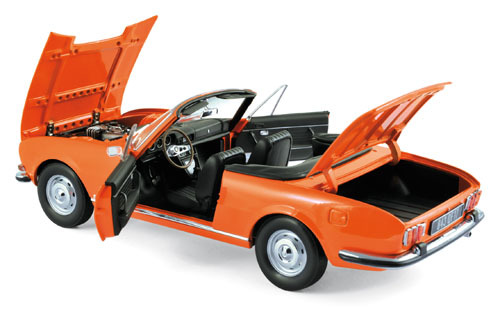 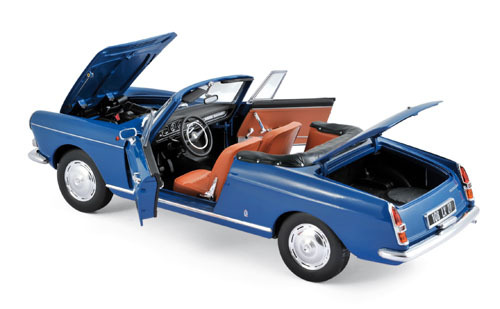 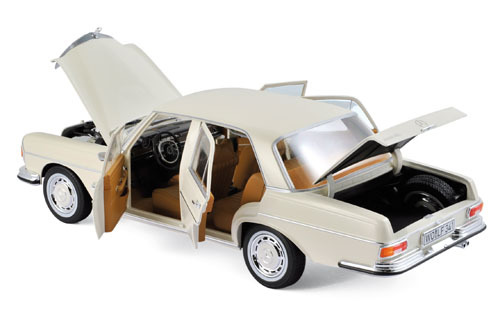 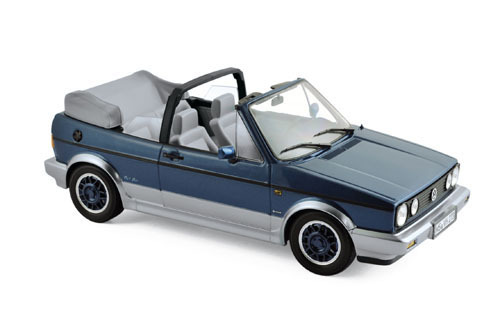 The two-door cabriolet featured a luxurious interior with high quality leather upholstery. 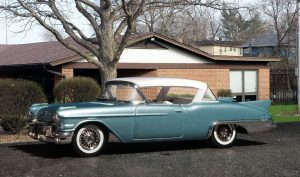 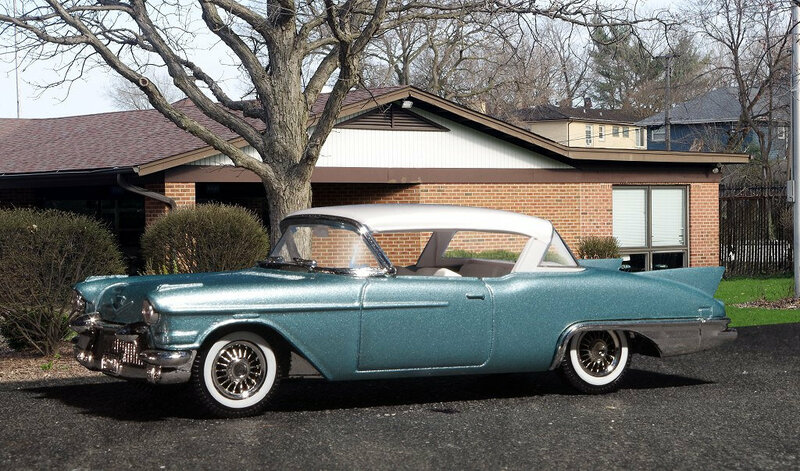 In 1958 the 403 cabriolet cost 80% more than the entry level “berline grand luxe” 403 saloon, and presumably for this reason the convertible 403 was produced in very modest numbers. 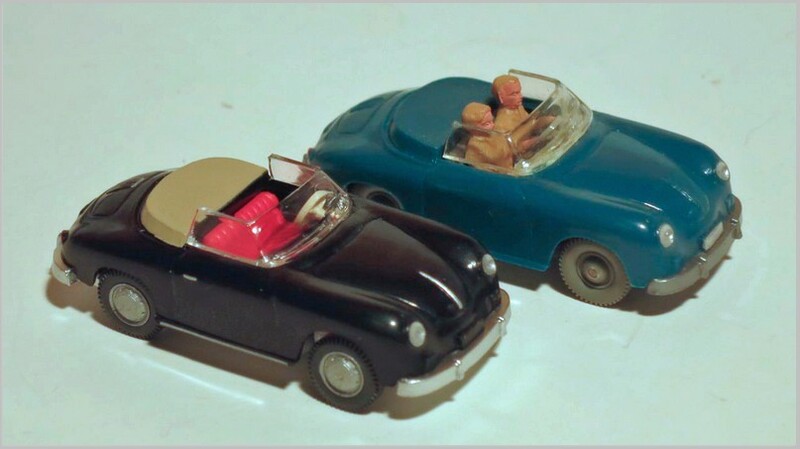 The models from UH represent two versions of the car, one hood up and one hood down. 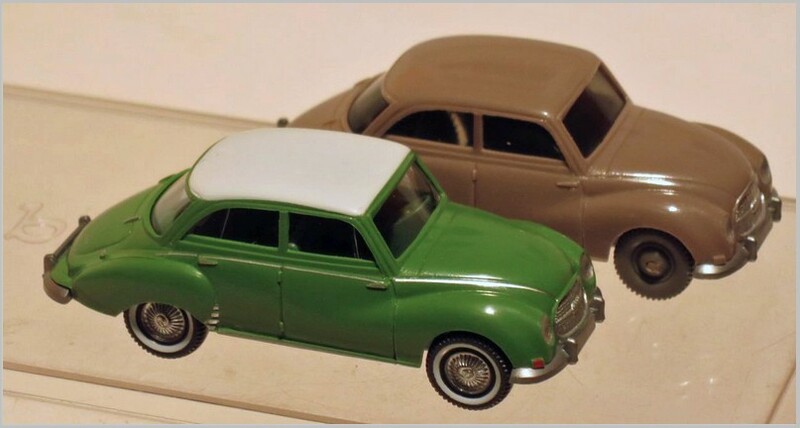 They also differ in colour and the hood down car gets whitewall tyres whilst the hood up car does not. 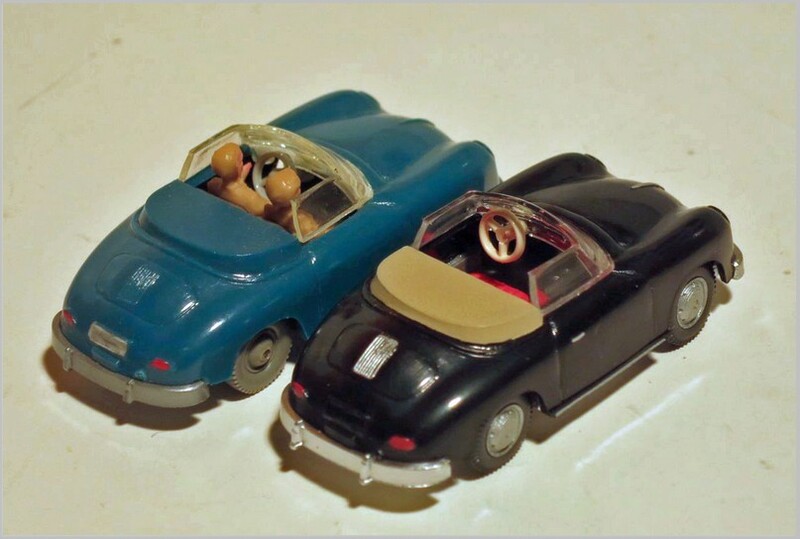 Apart from that they are both similar 1957 Cabriolets. 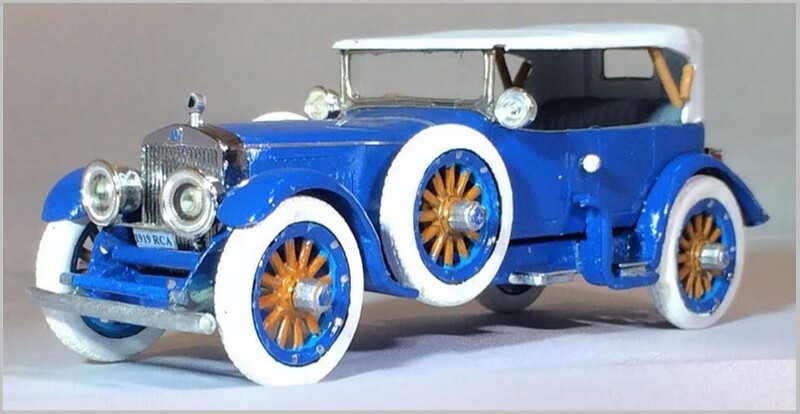 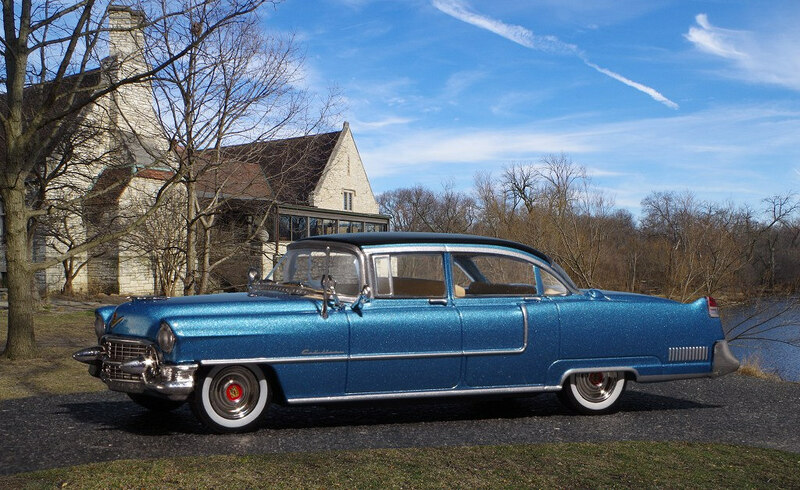 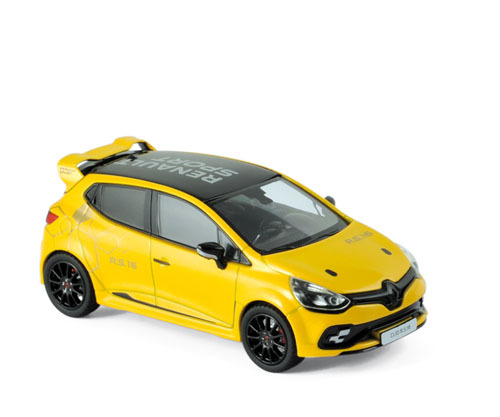 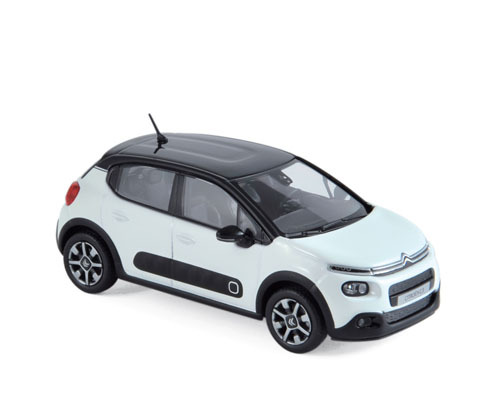 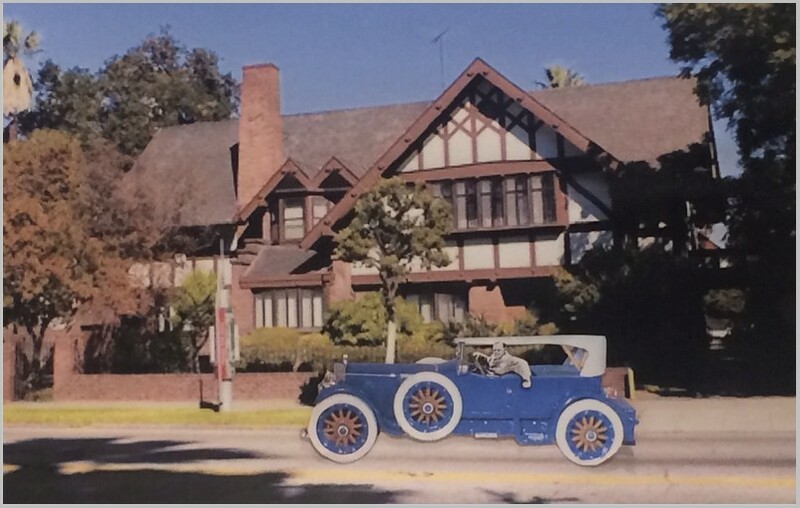 Pictures of the real car on the Internet shows that the colours chosen are authentic and that the shape has been very well modelled. 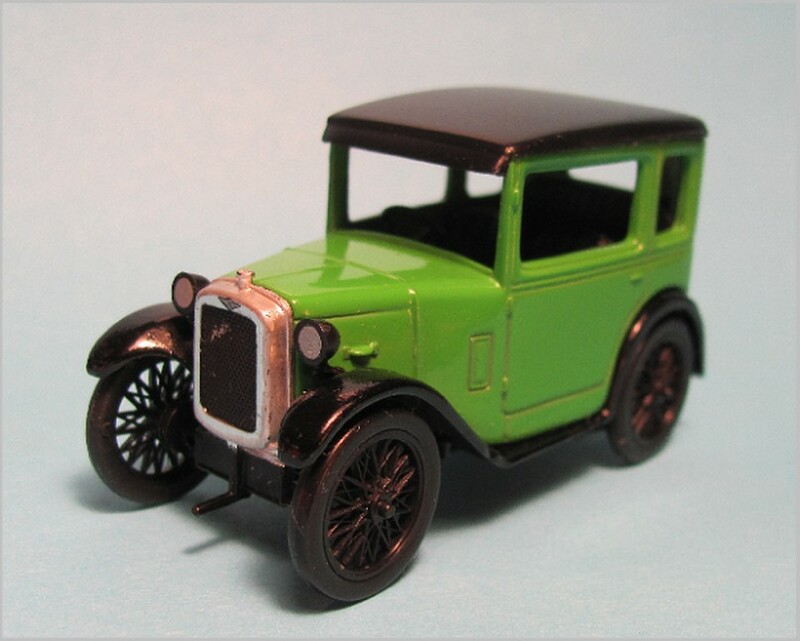 The front end of the car has been nicely modelled with clear headlight lenses and a neat grille with a nice black wash fill to highlight the chrome bars and surrounds. 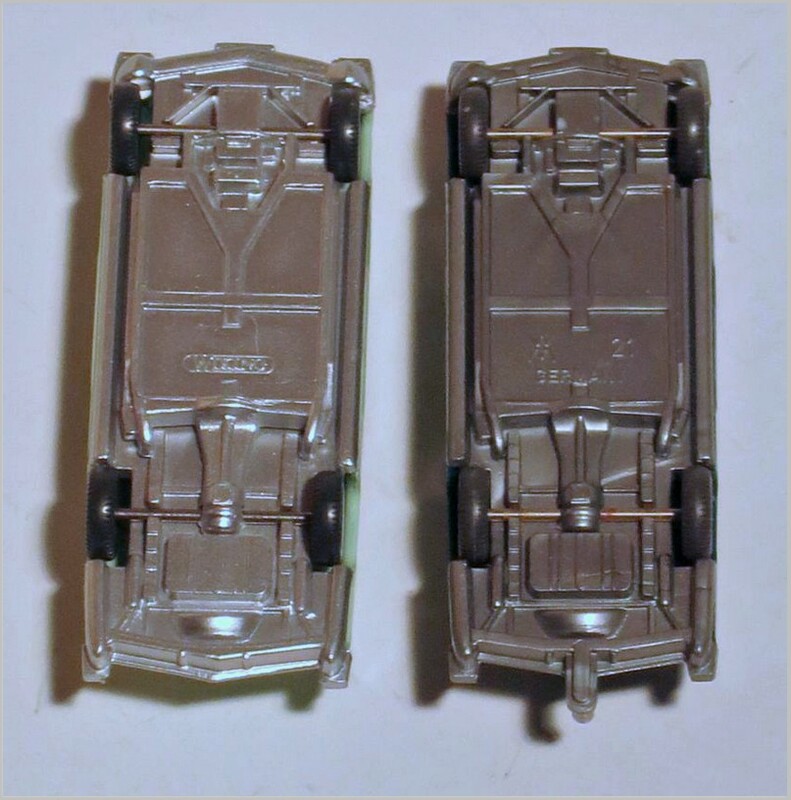 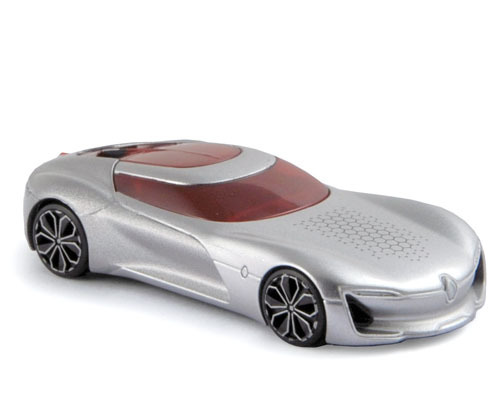 To the side of the car the chrome body line is printed neatly, side indicators are included in orange, and the door handles are picked out in silver. 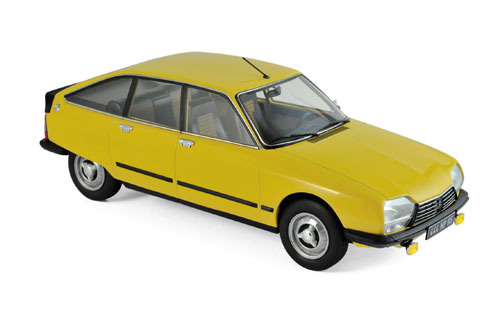 The 403 badge printed on the bonnet is a little high and large and the gaps at the edge of the bonnet are not modelled. 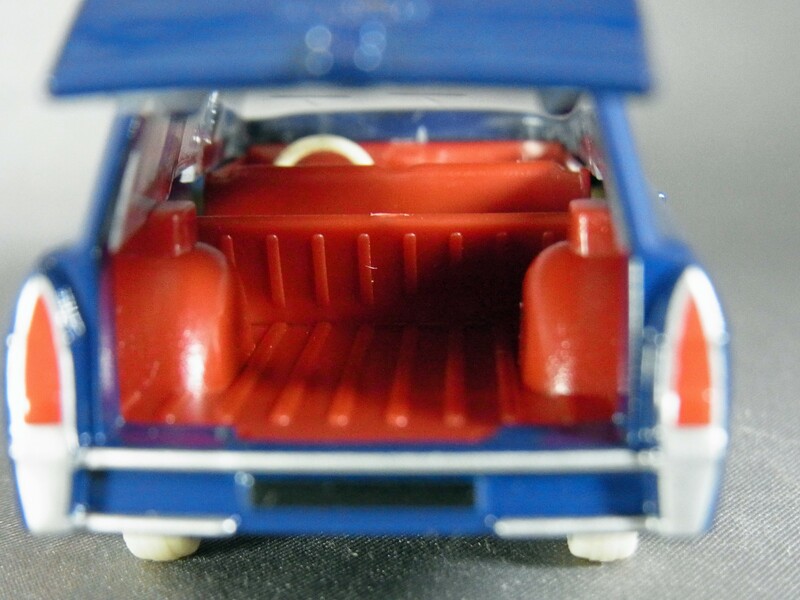 A basic interior is fitted with lots of detail moulded in to the dashboard and door cards. 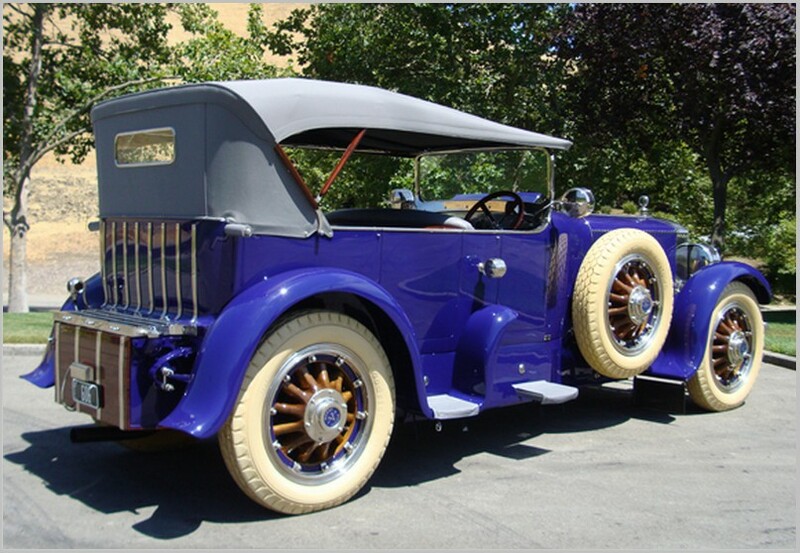 A white steering wheel is fitted to round it all off. 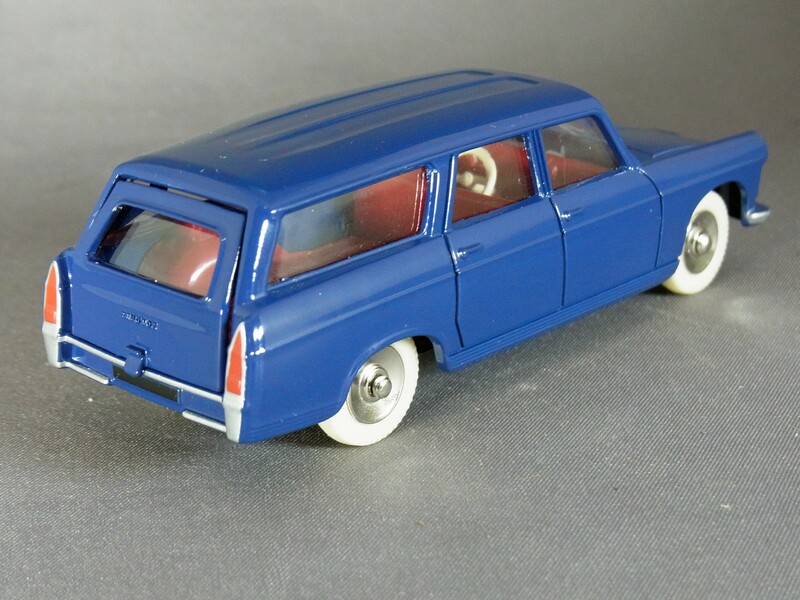 To the rear the lights are tiny separate inserts and the badging and number plate surround are nicely printed, though it would be nice to have authentic number plates rather than one with 1957 on. 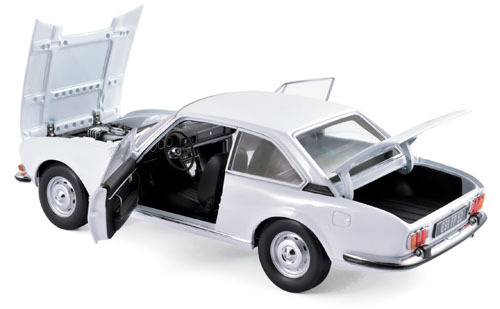 The bumper, like that at the front, is neatly modelled and the boot does have its surrounding panel gap captured. 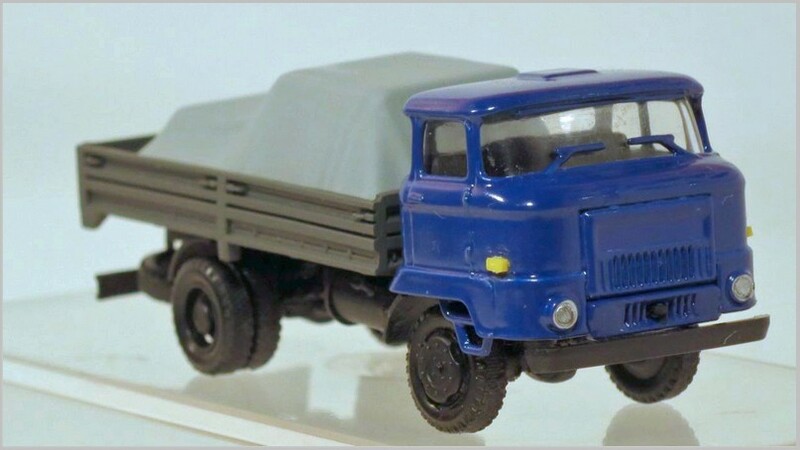 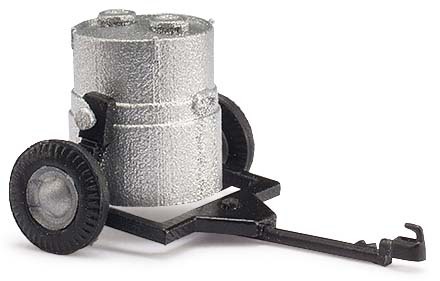 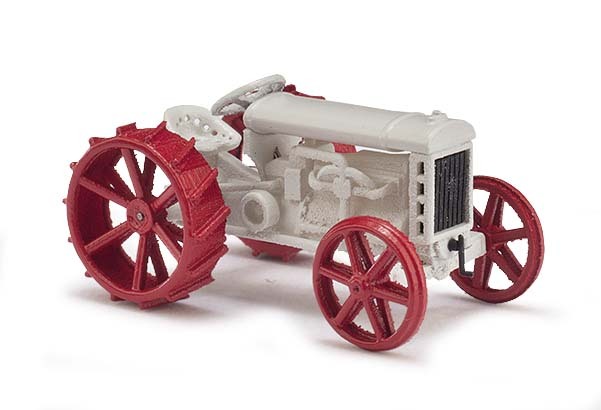 The wheels and tyres are nice representations of the real thing. 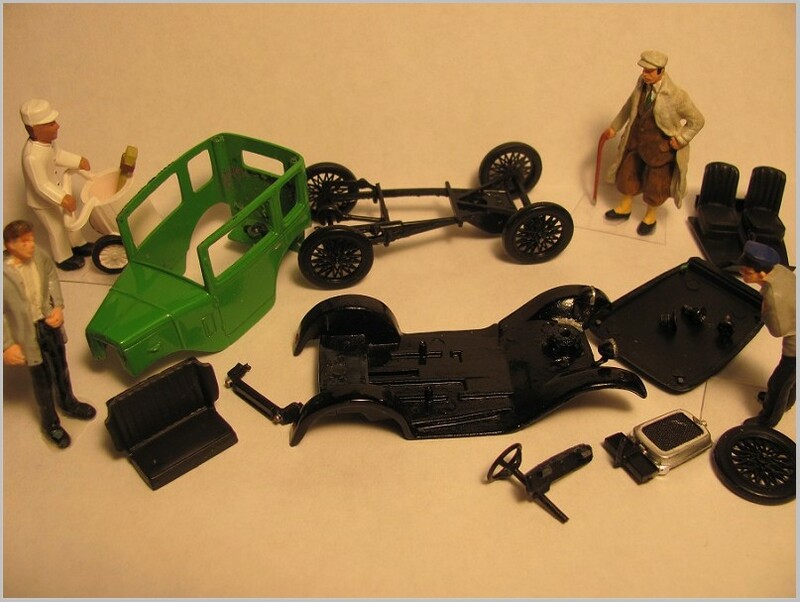 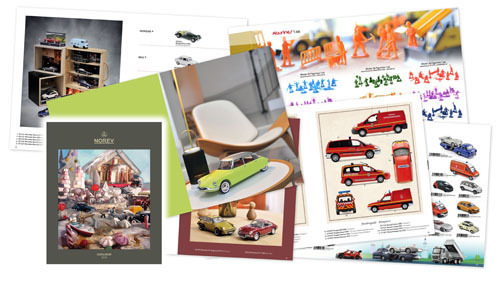 All the releases from Busch, and their associated brands, shown below are moulded in plastic to 1:87 scale. 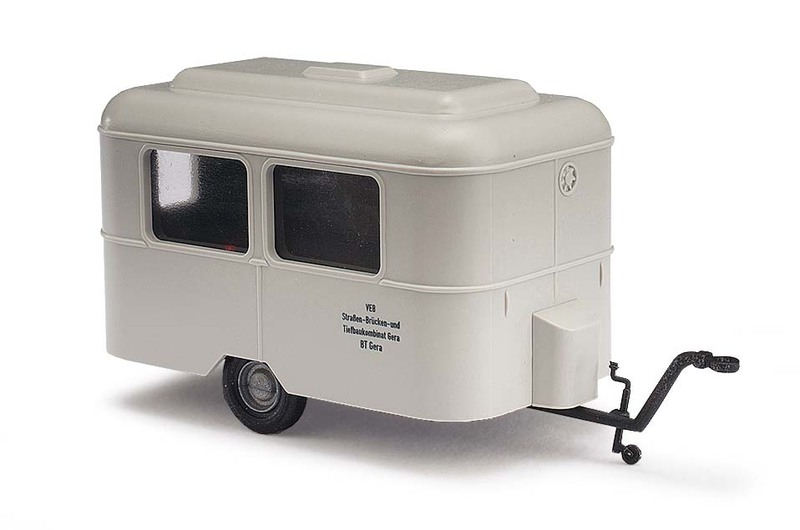 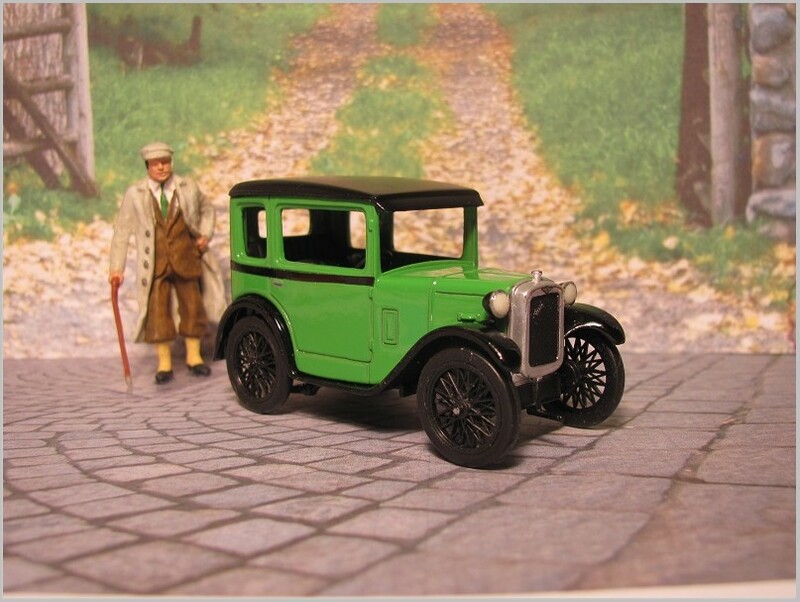 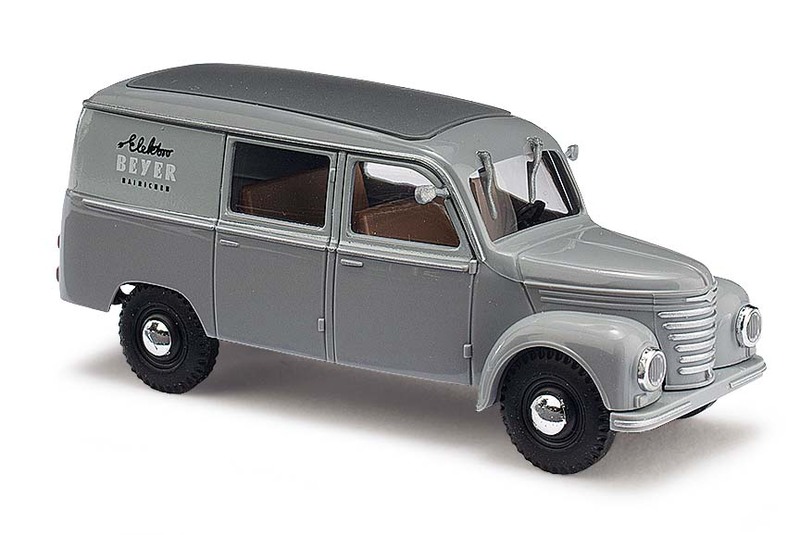 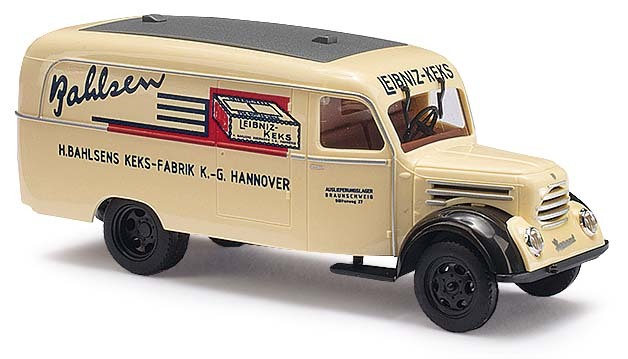 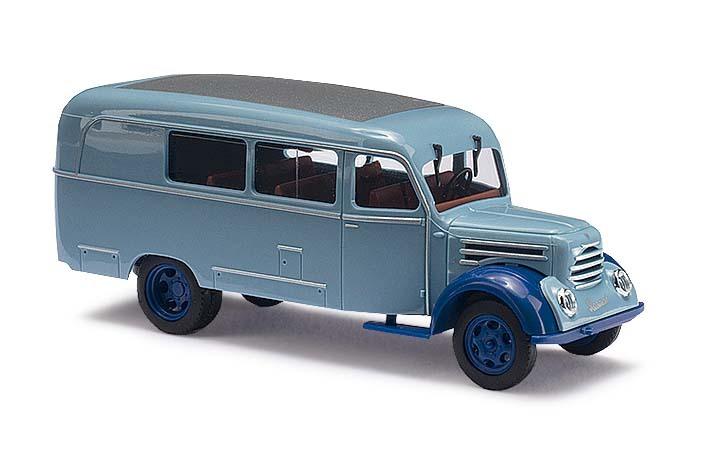 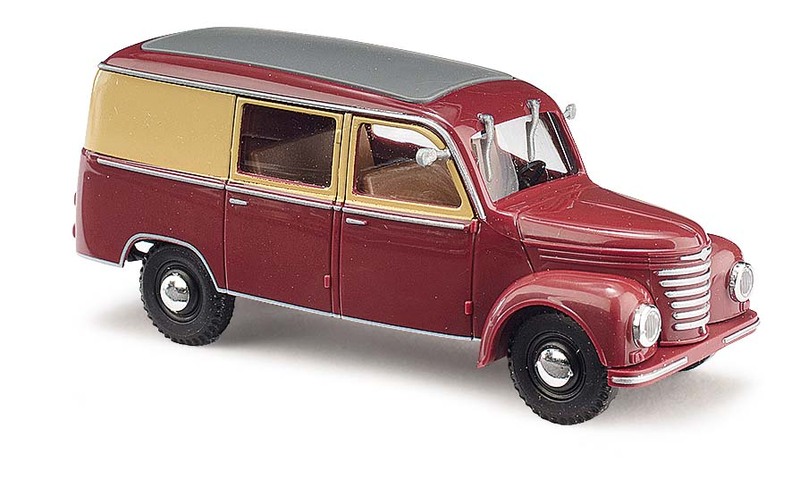 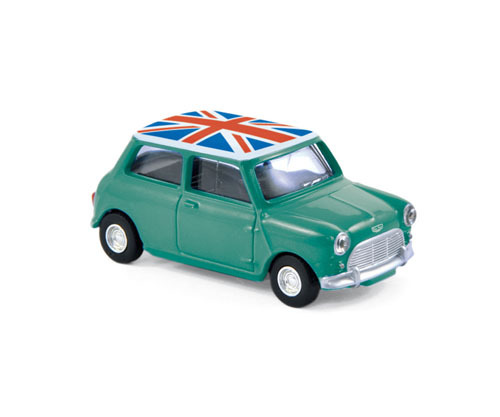 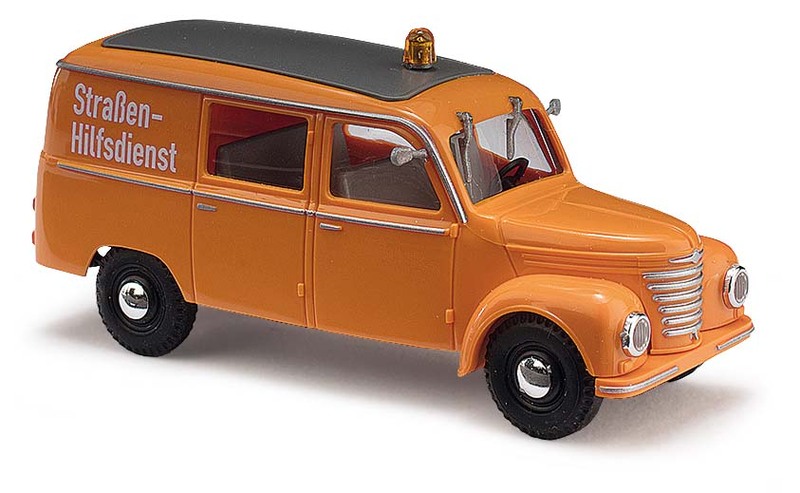 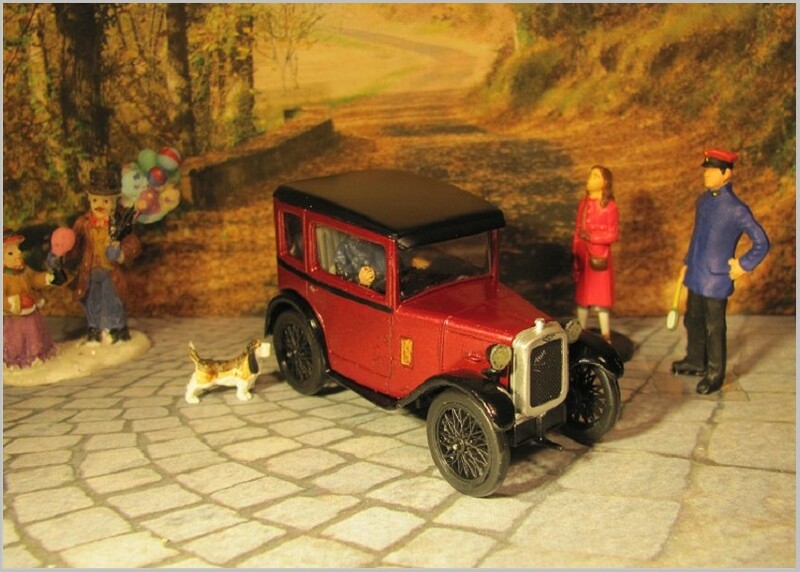 After a longer gap than usual the next car in the Atlas UK Deluxe Dinky series has been delivered. 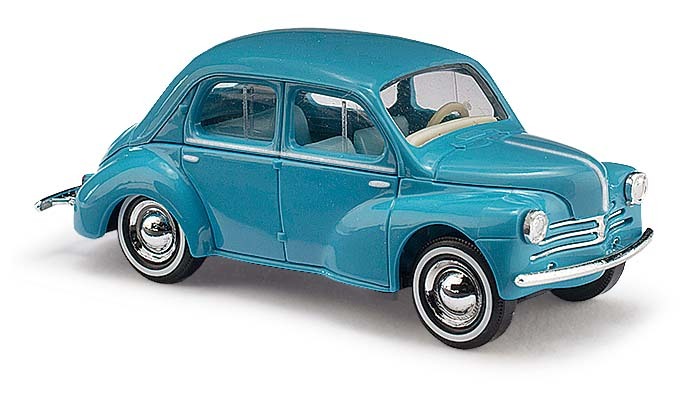 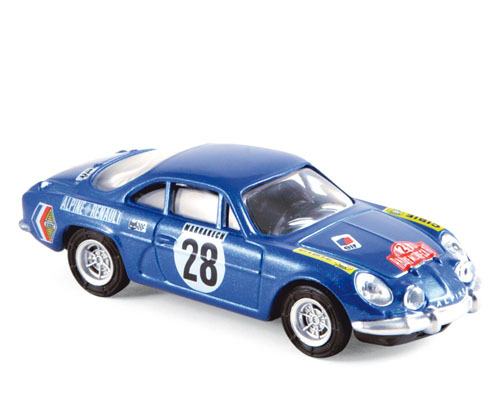 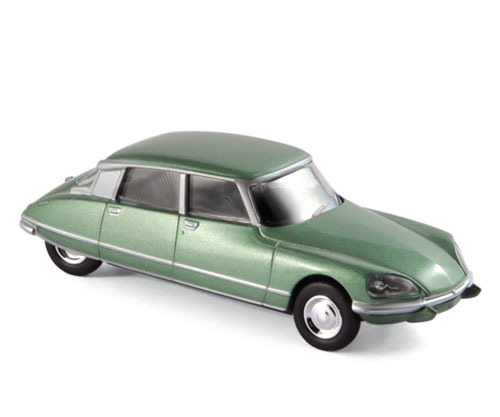 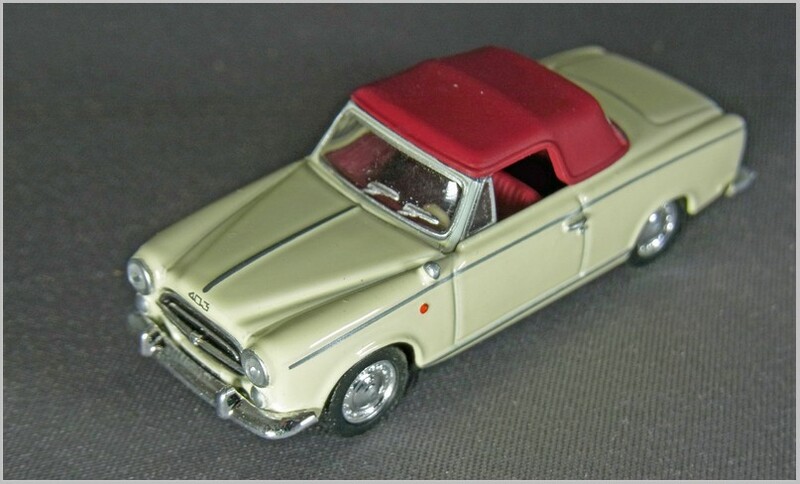 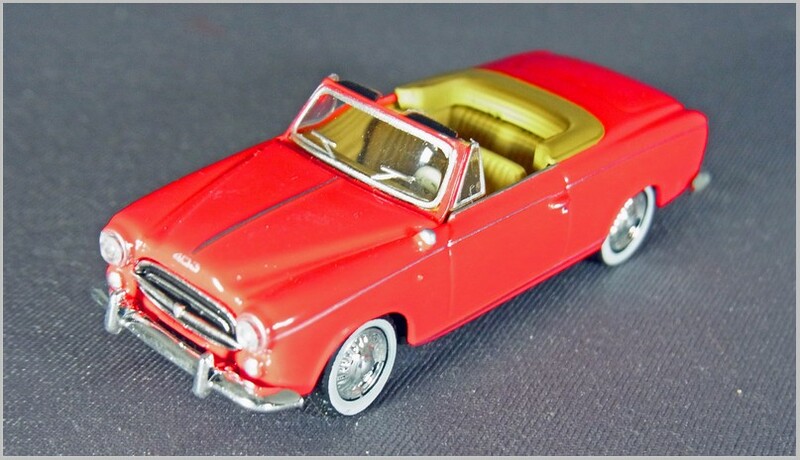 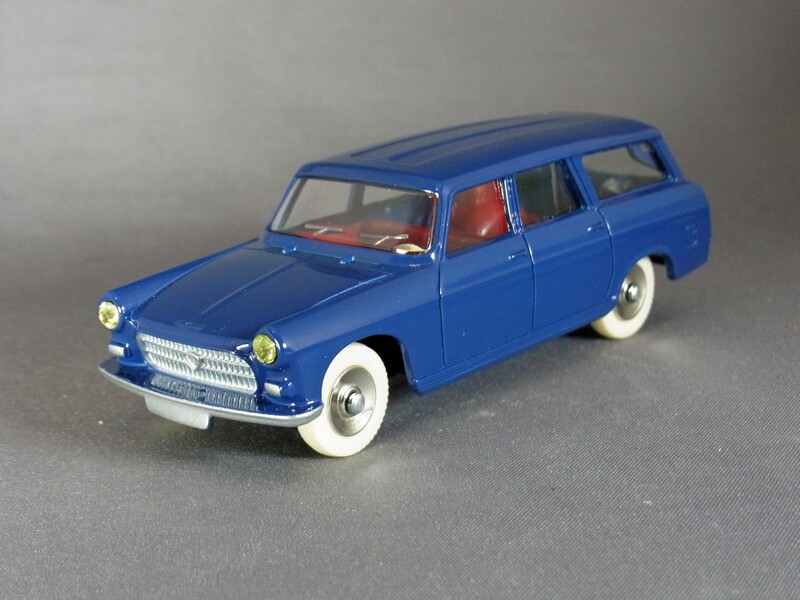 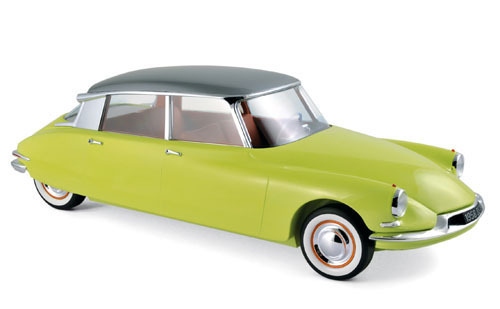 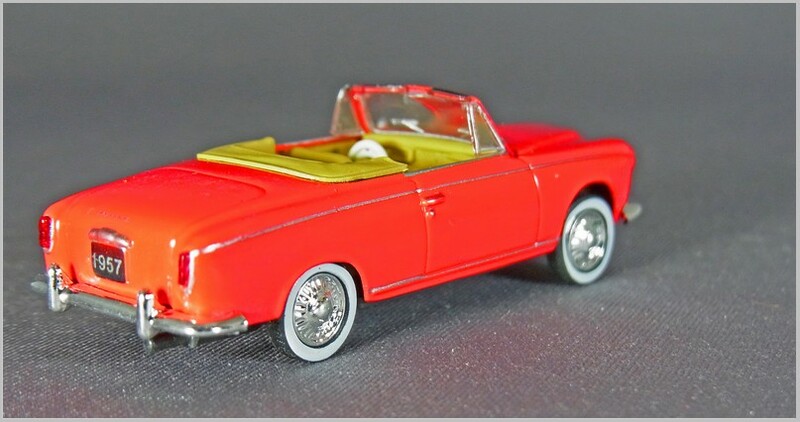 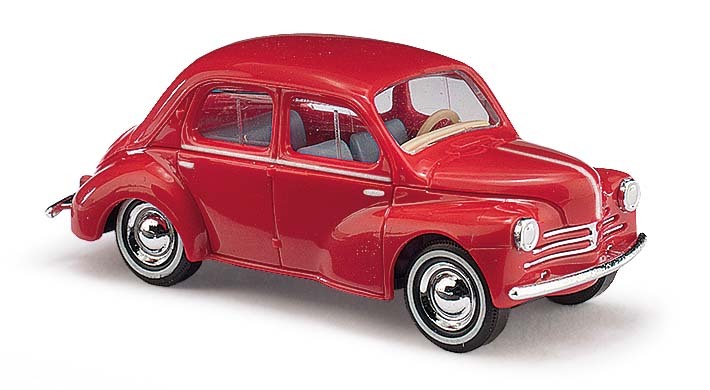 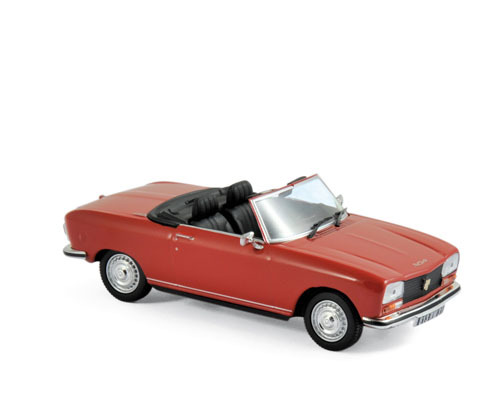 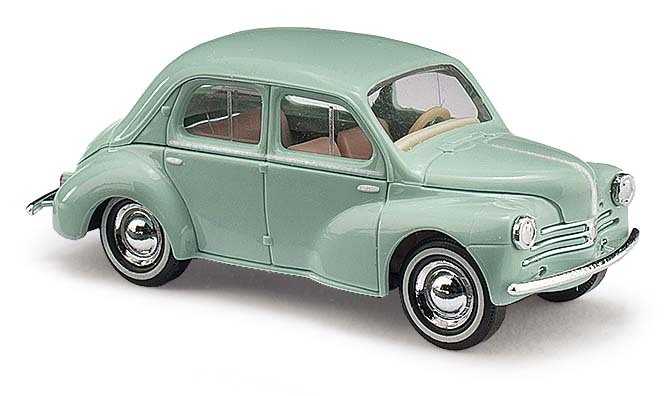 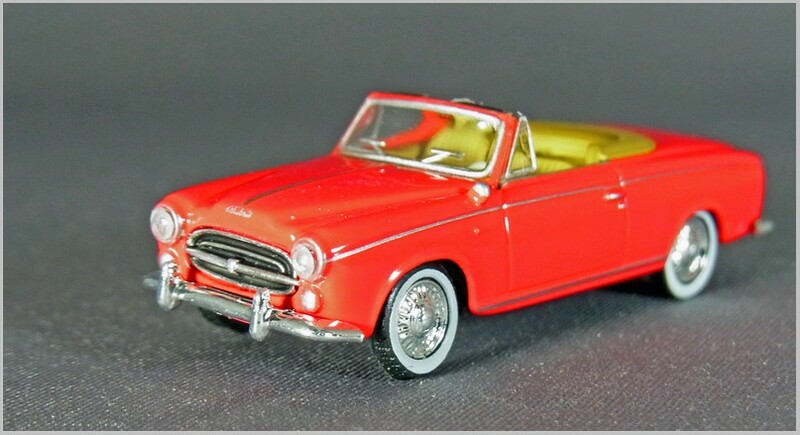 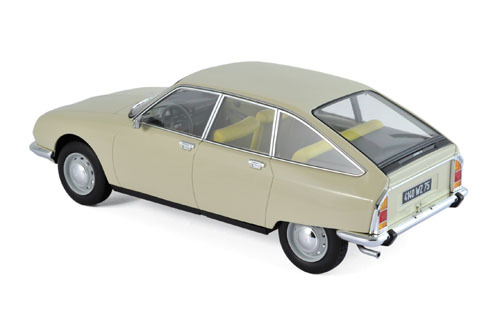 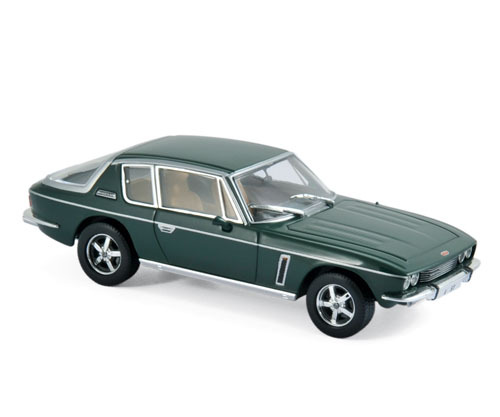 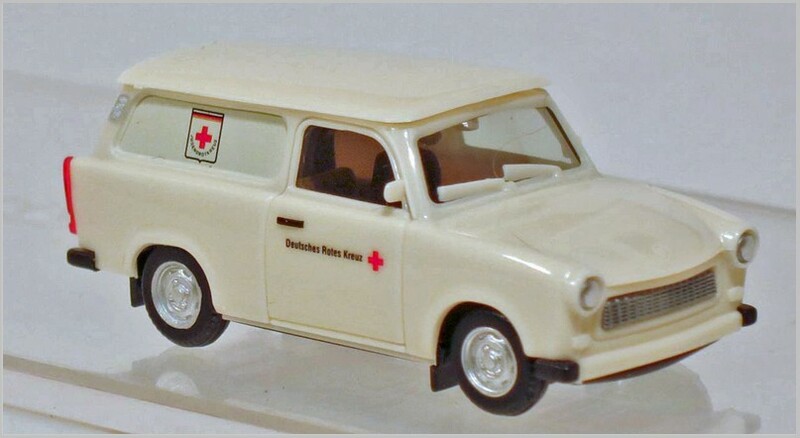 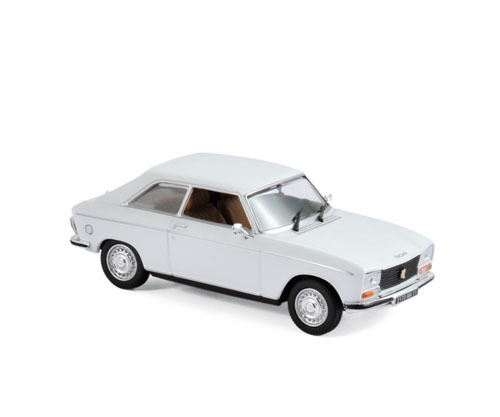 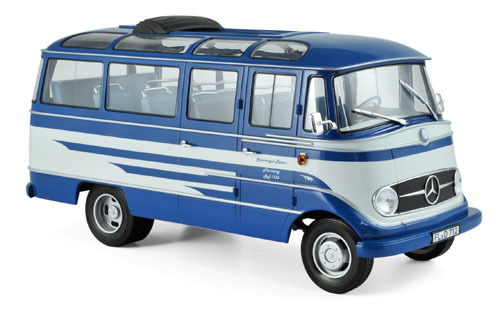 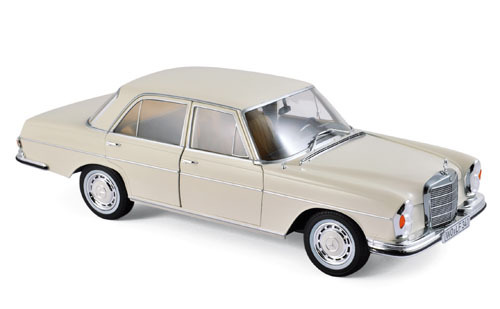 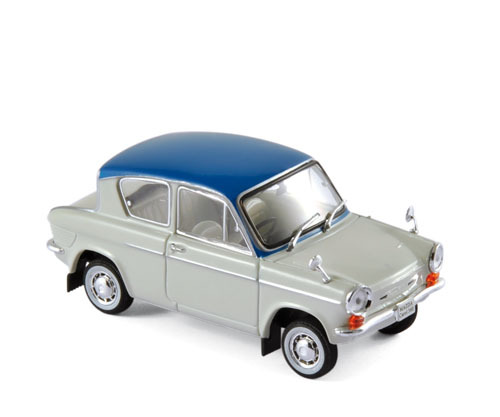 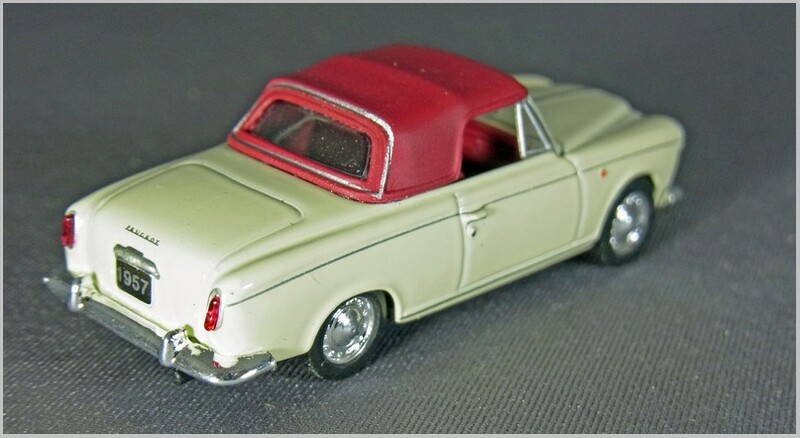 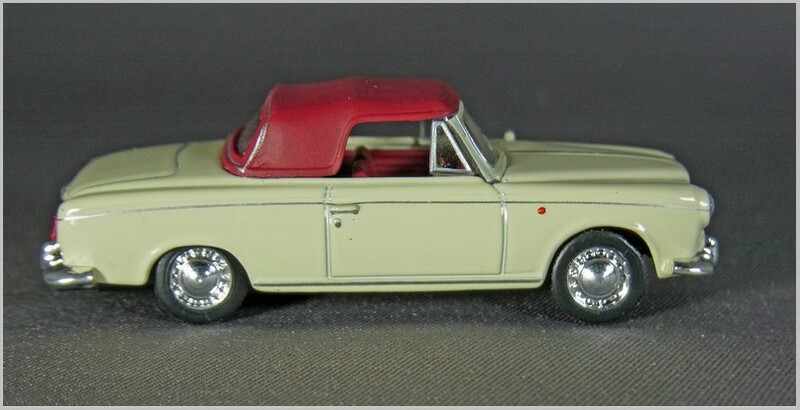 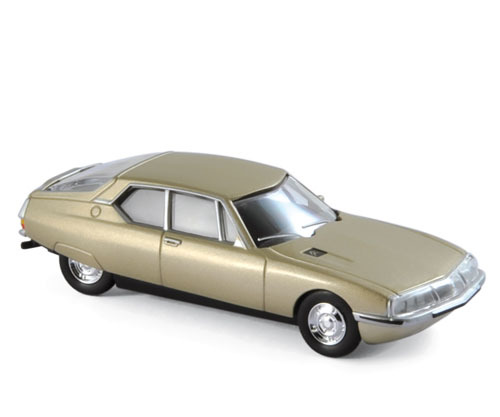 This is Dinky France #525 and is a model of the Peugeot 404 Commerciale. 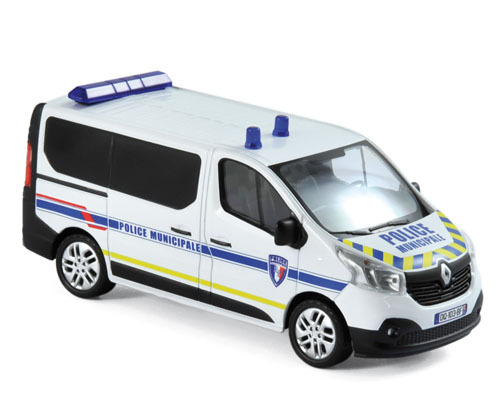 This is known to have been made in cream and blue in some numbers and as a rare Pompiers version in red which commands a large price premium. Luckily Atlas has decided to have the model made in blue with a red interior which I think suits it much better than cream. 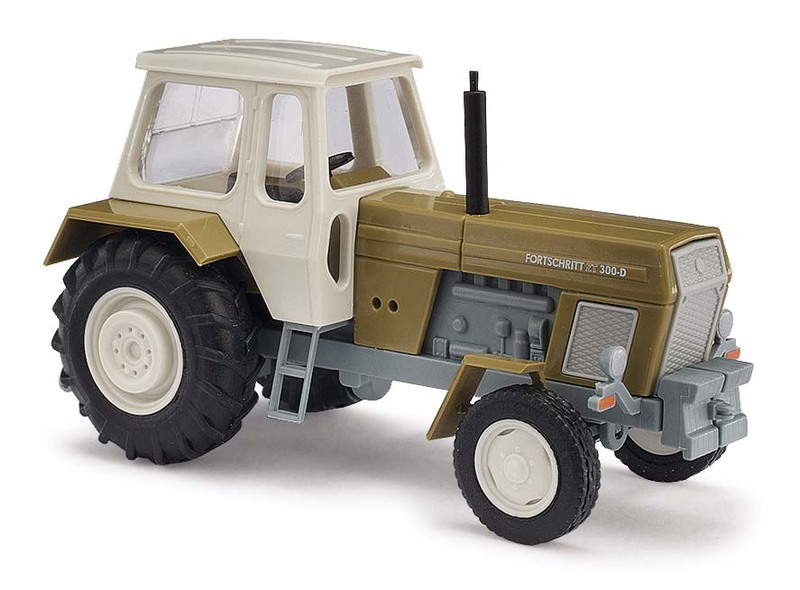 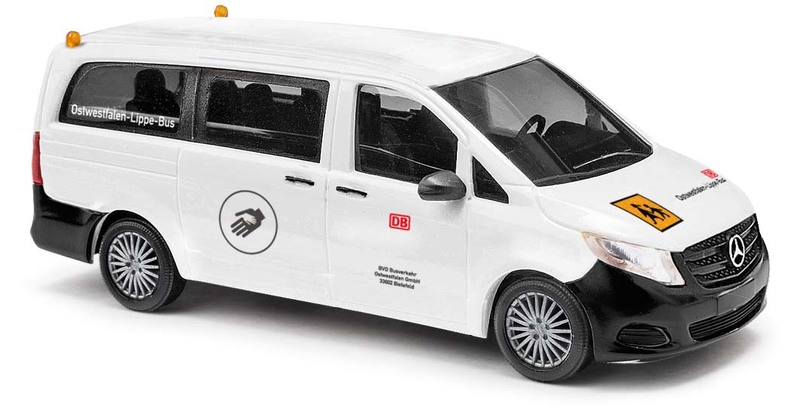 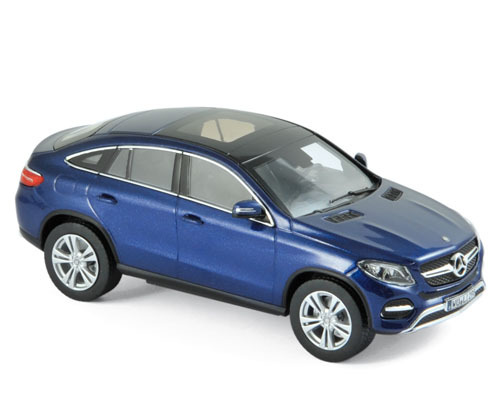 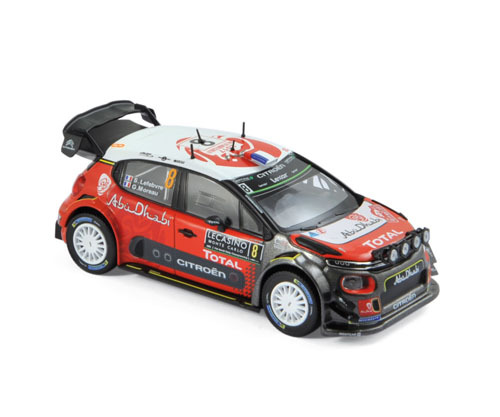 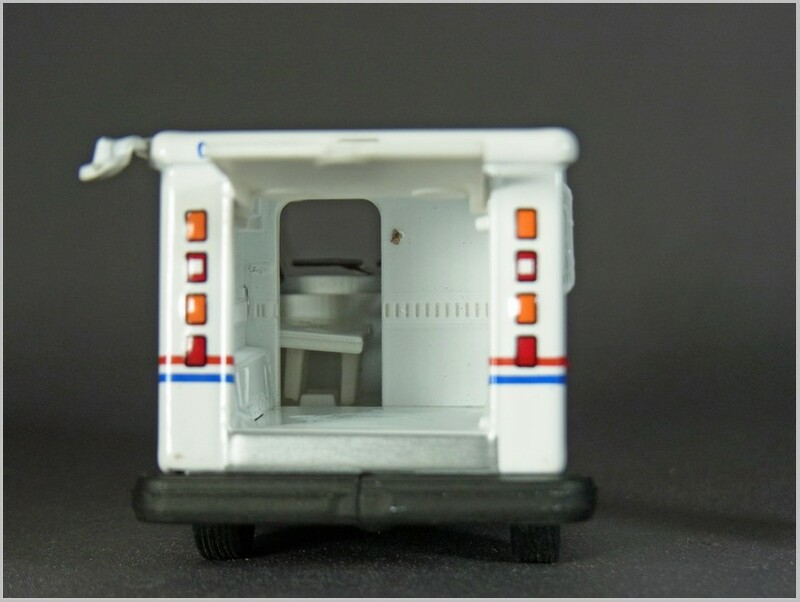 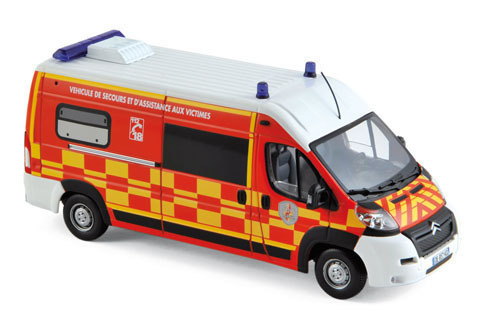 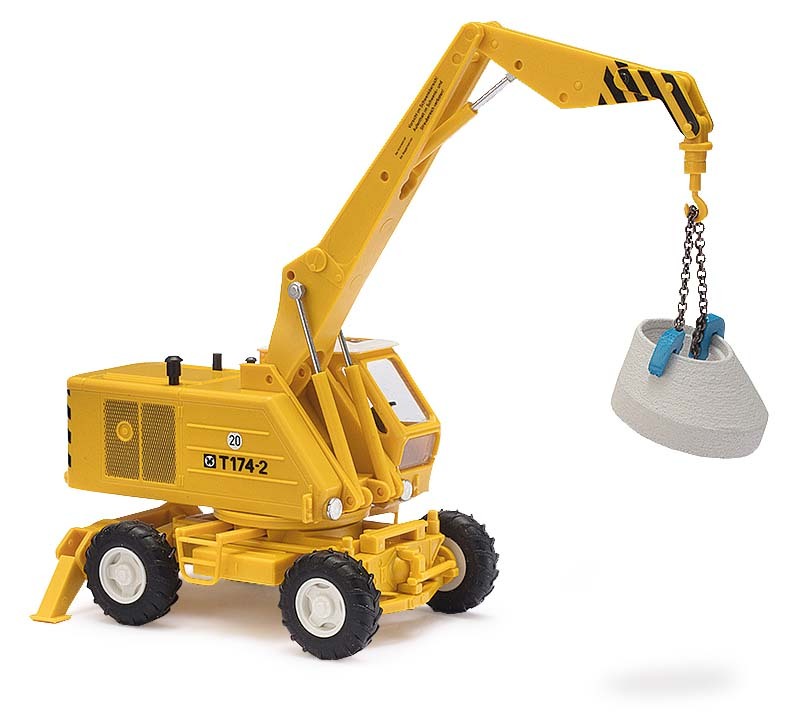 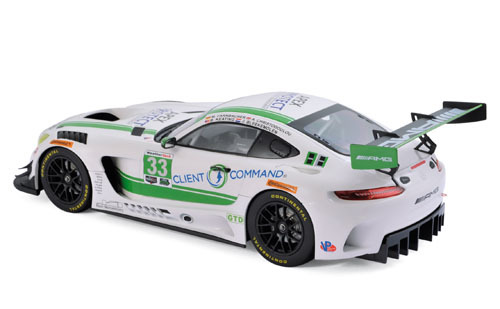 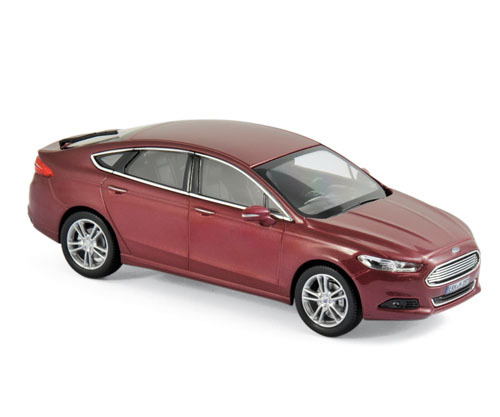 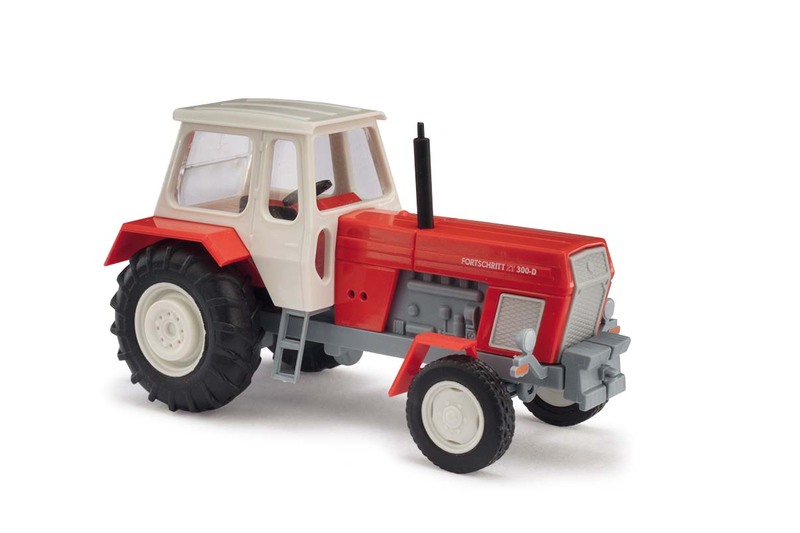 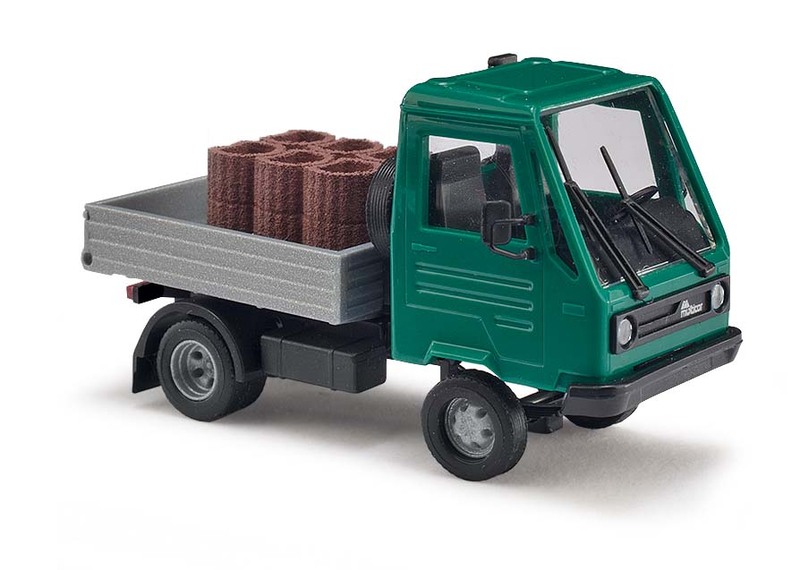 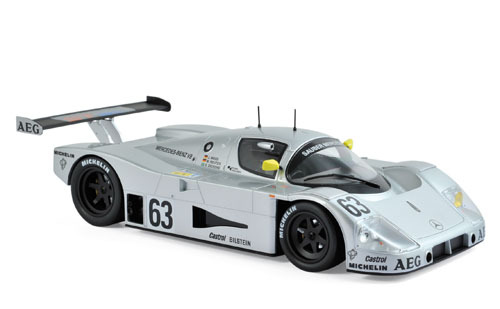 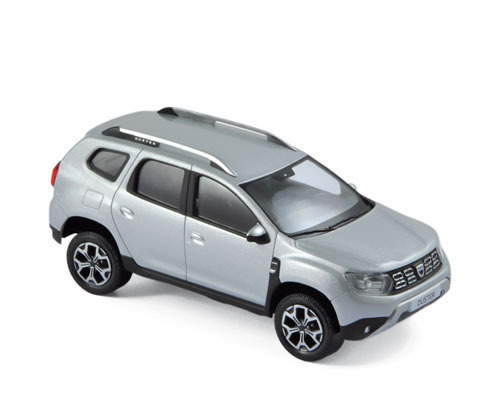 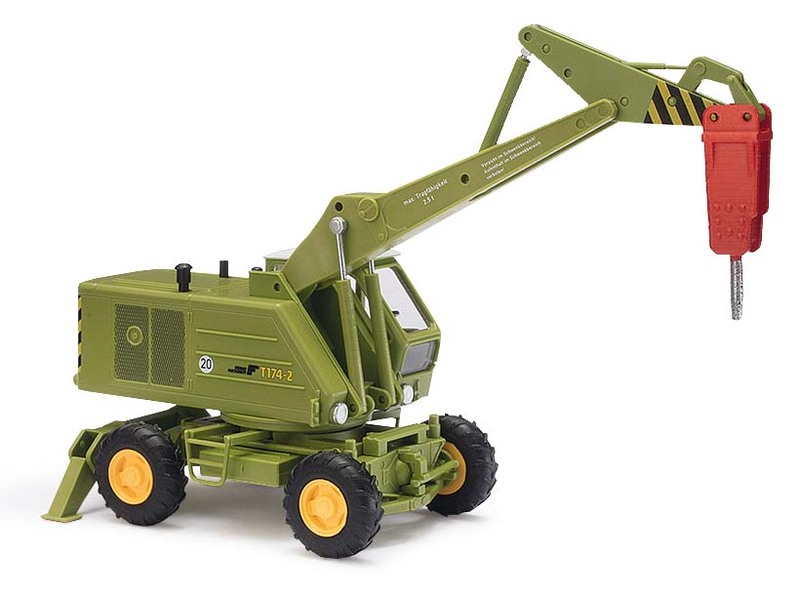 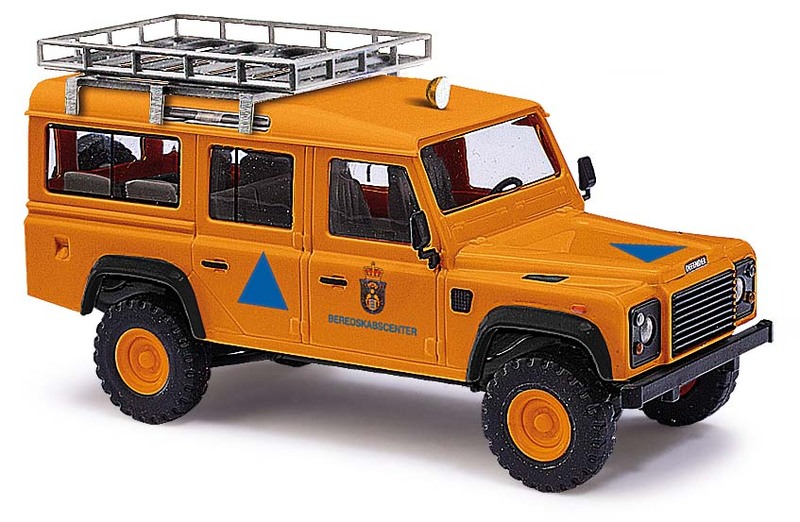 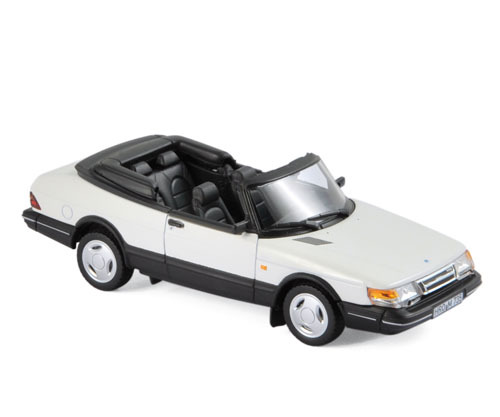 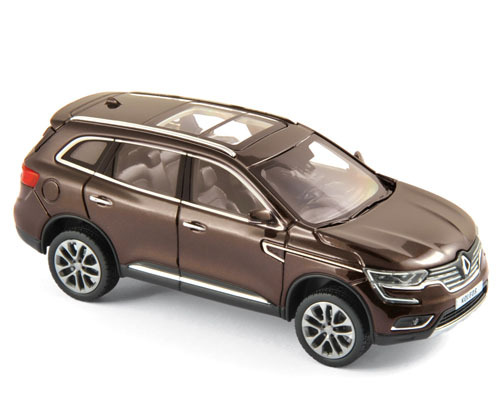 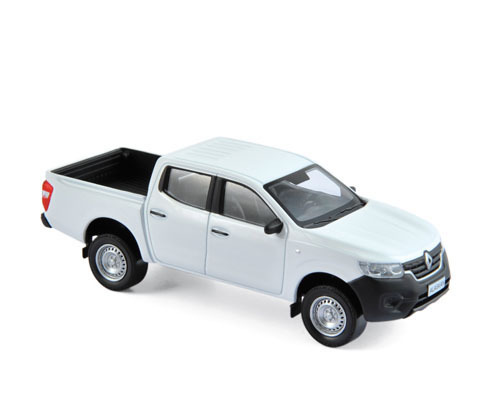 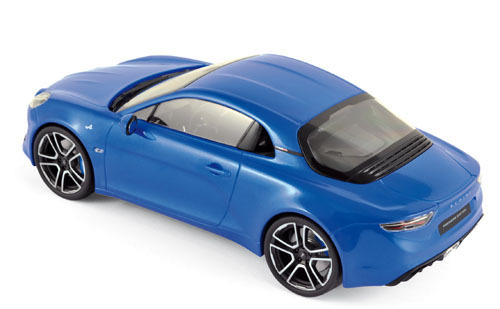 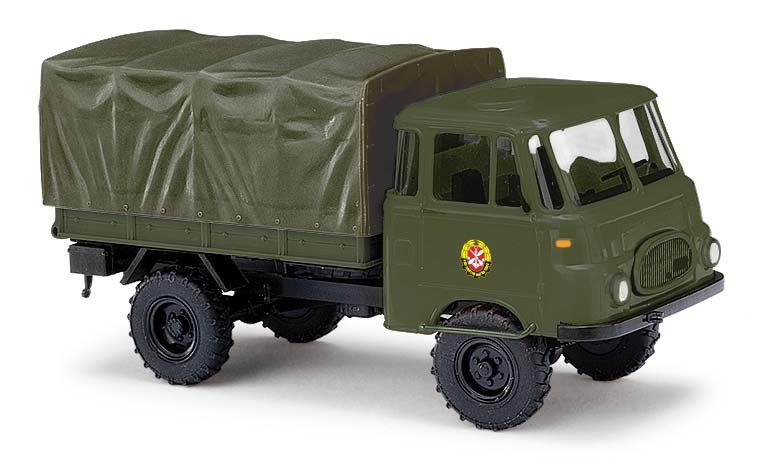 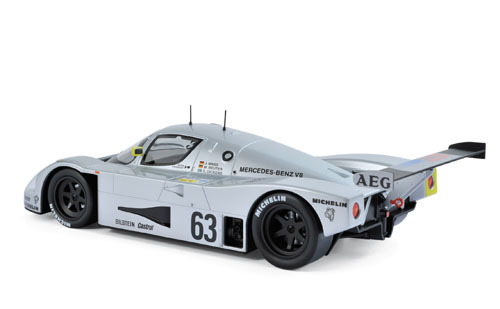 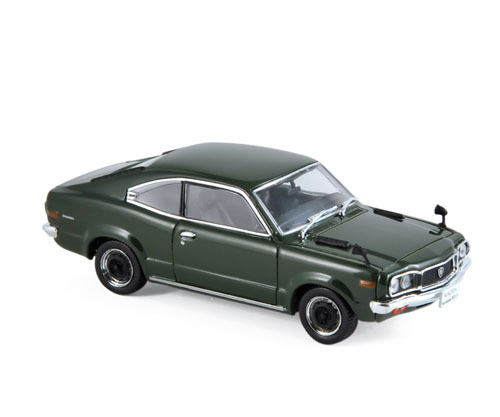 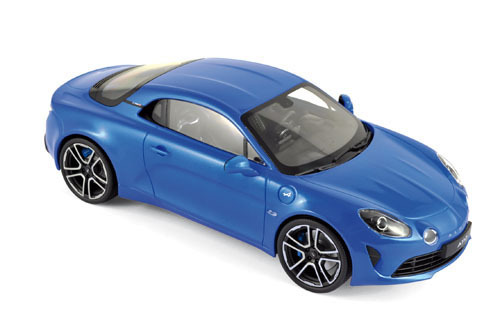 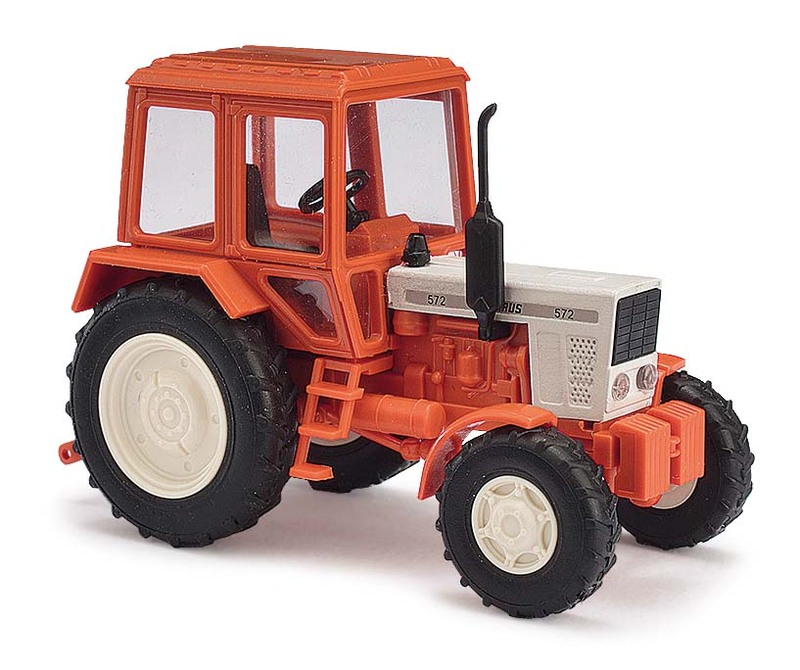 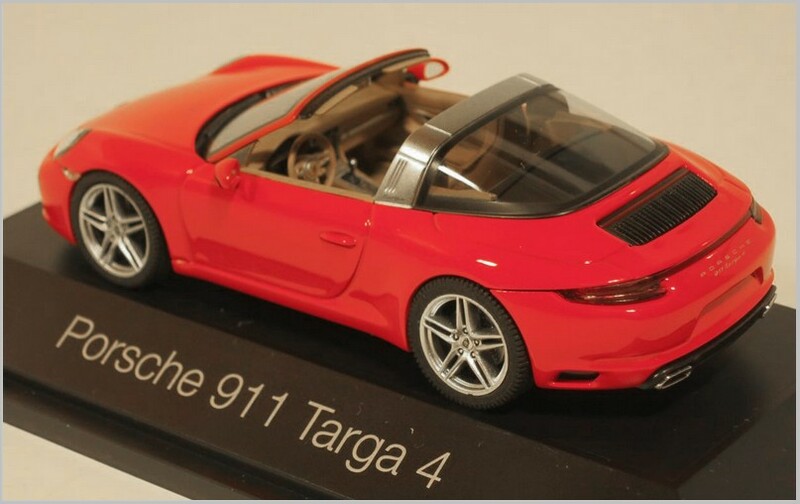 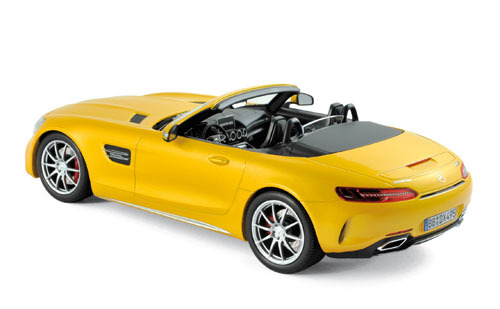 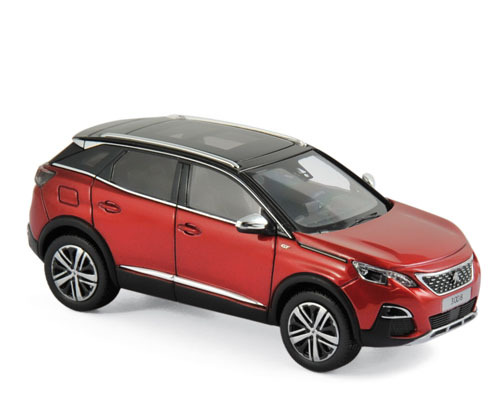 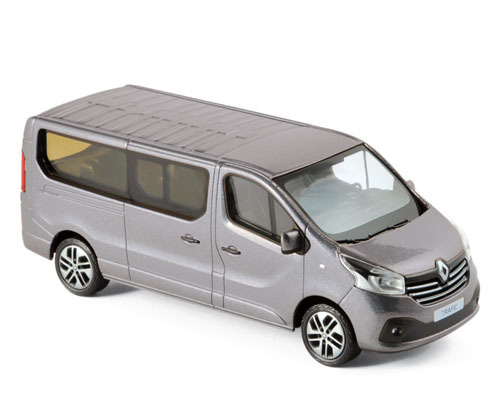 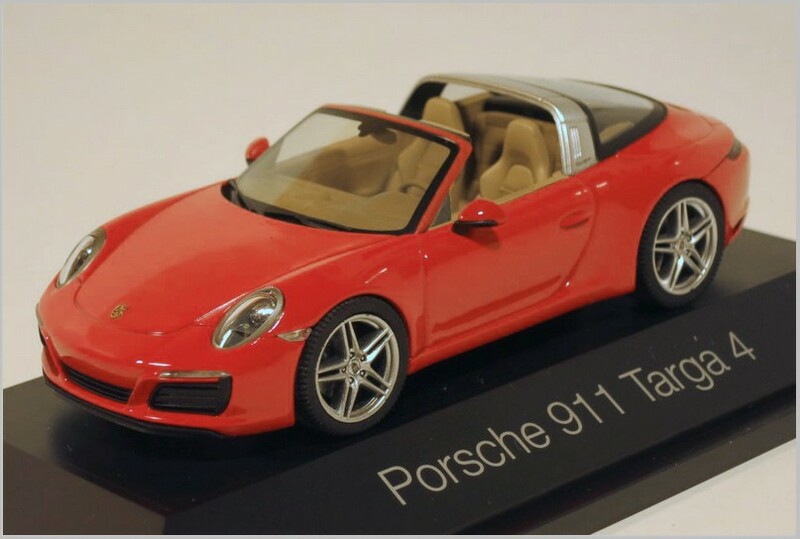 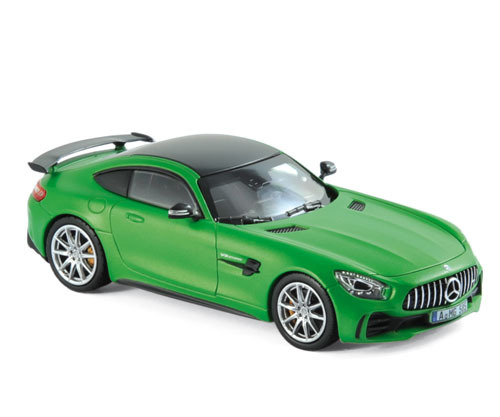 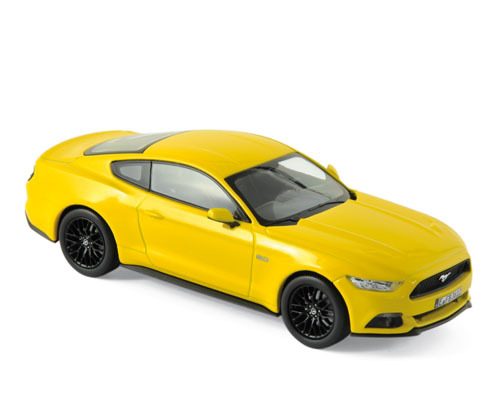 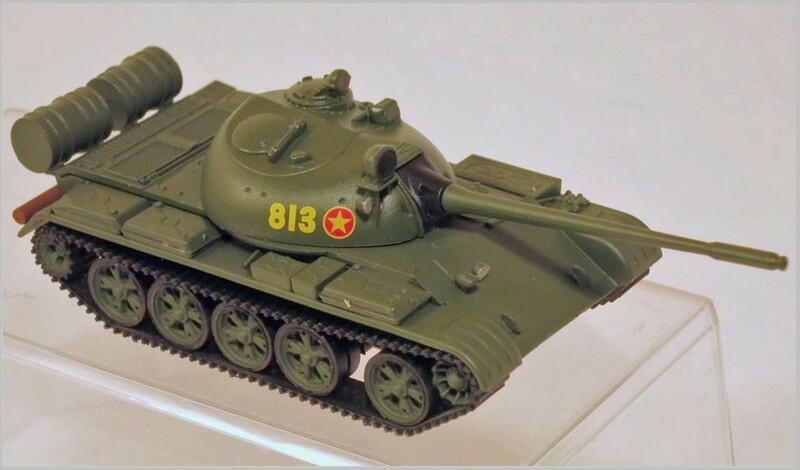 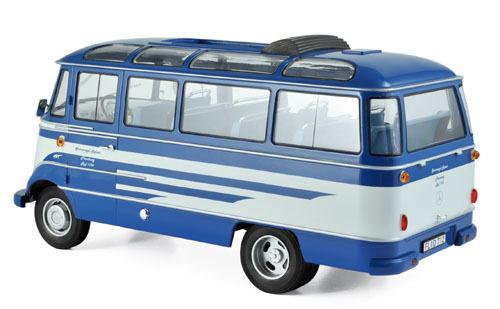 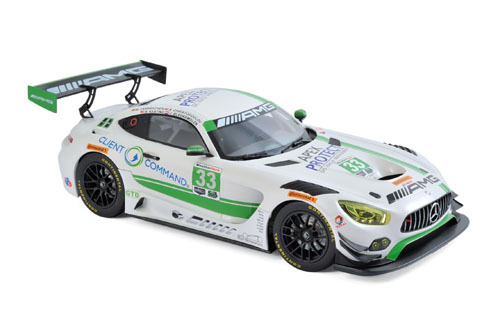 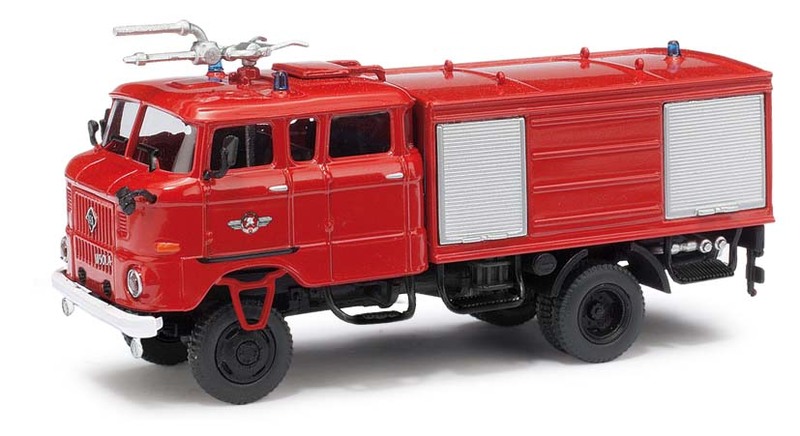 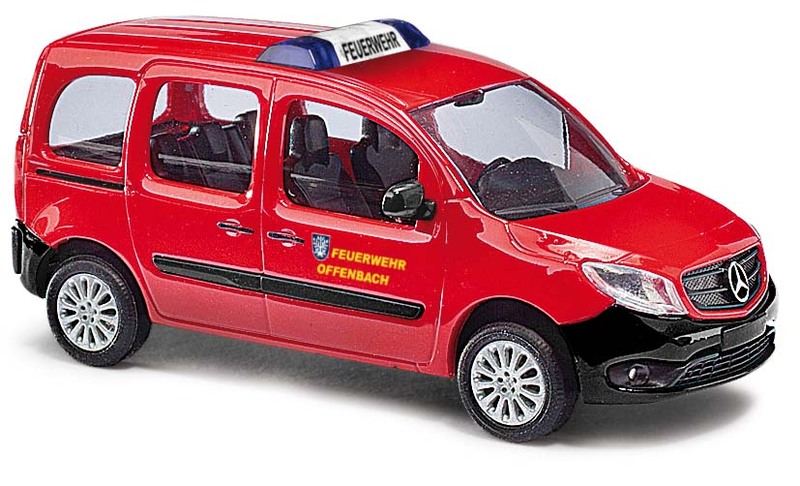 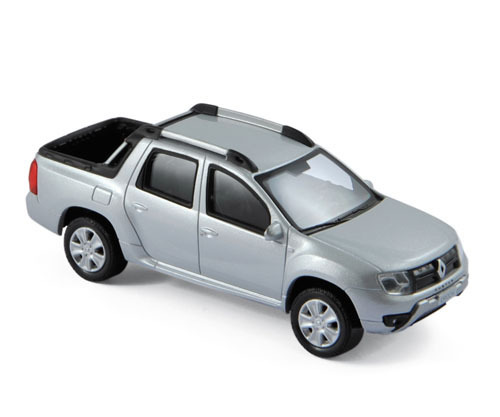 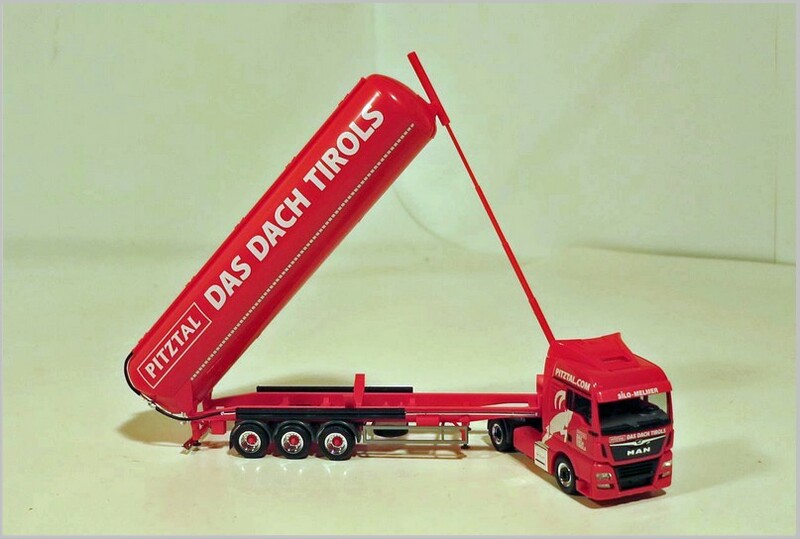 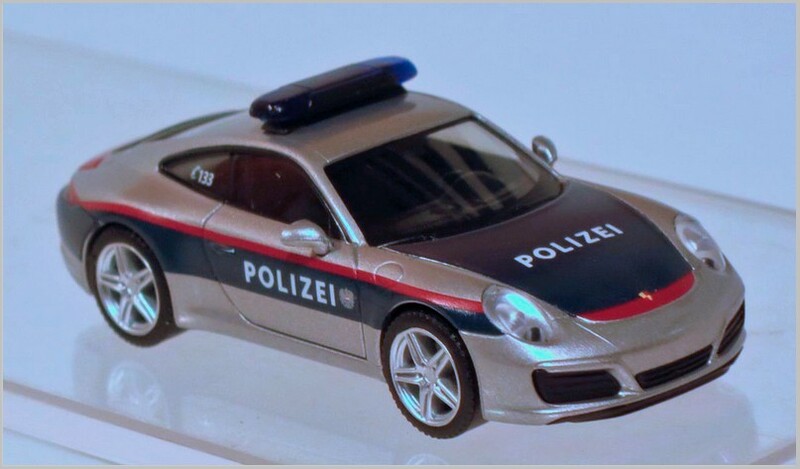 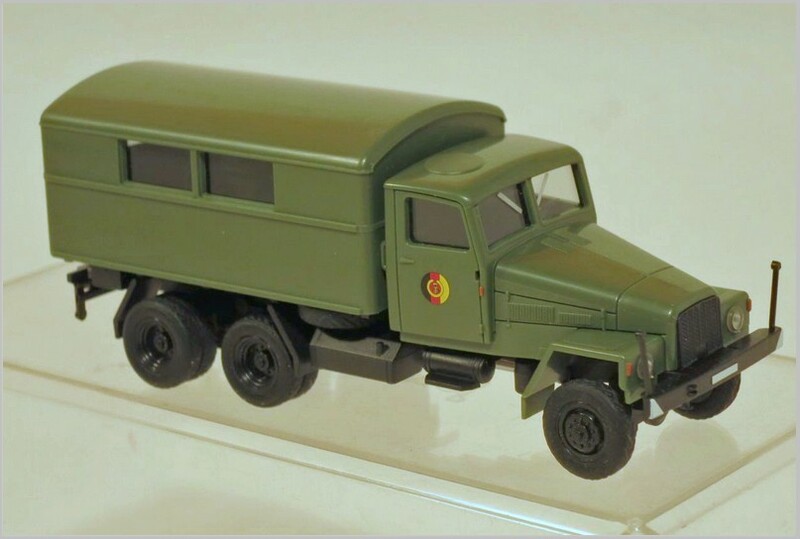 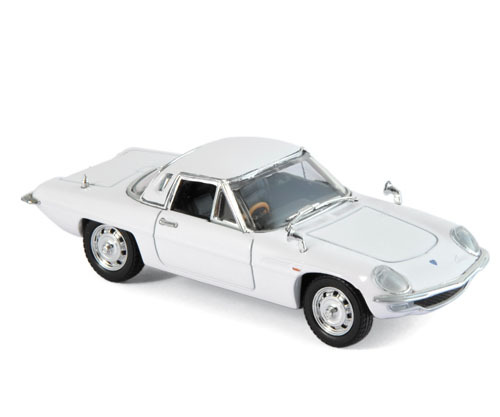 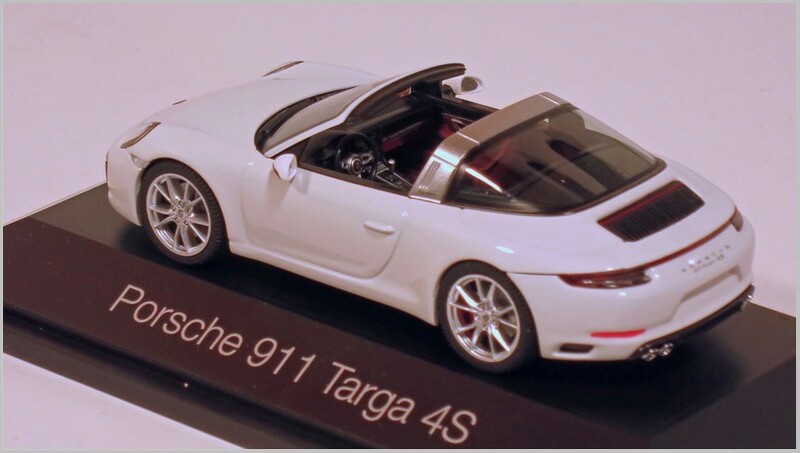 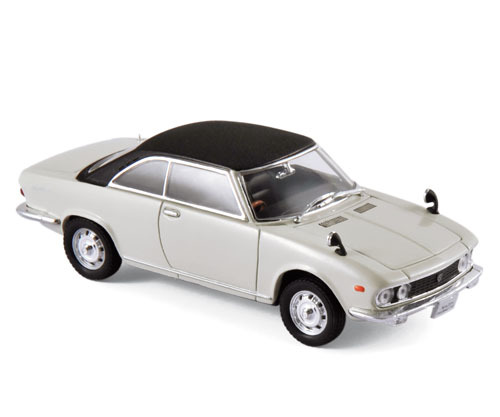 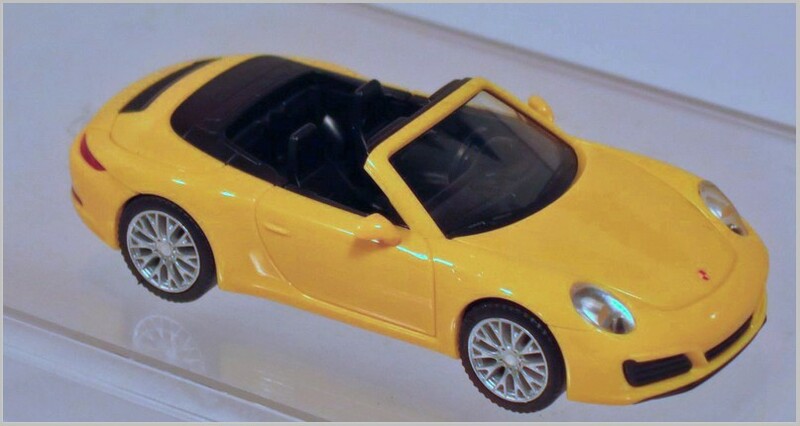 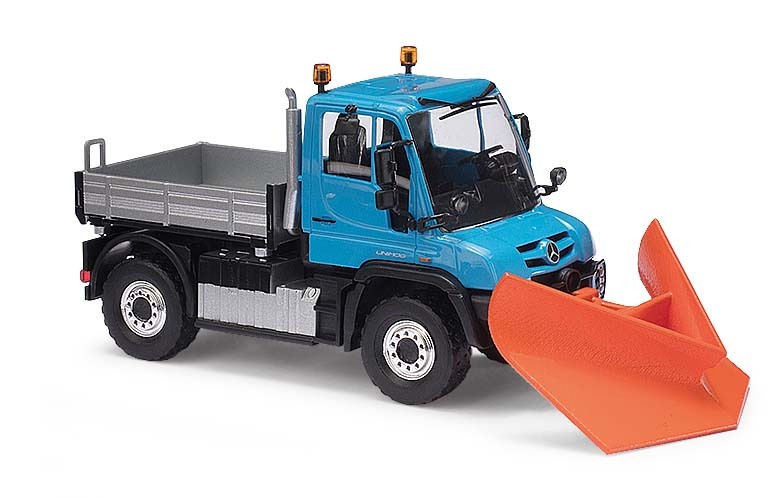 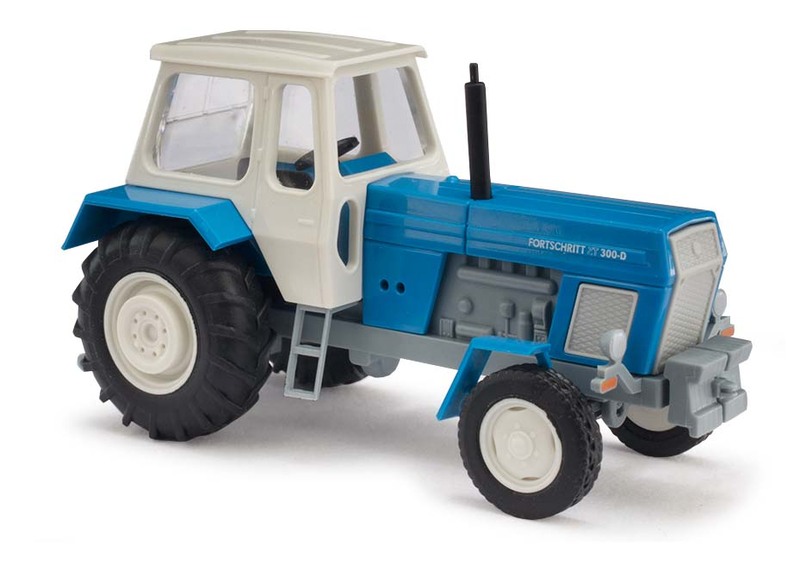 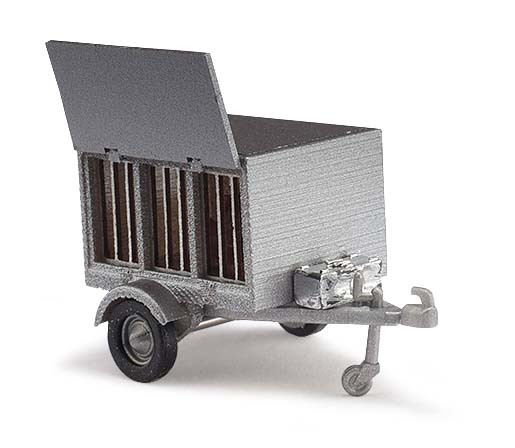 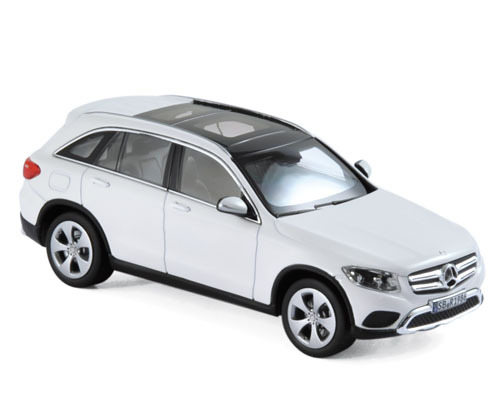 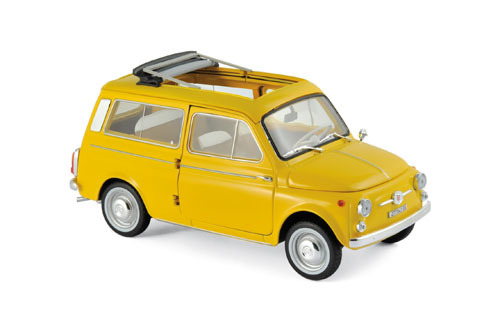 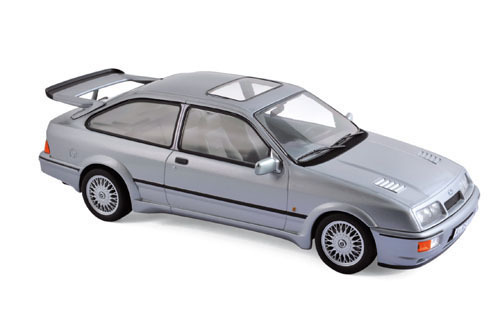 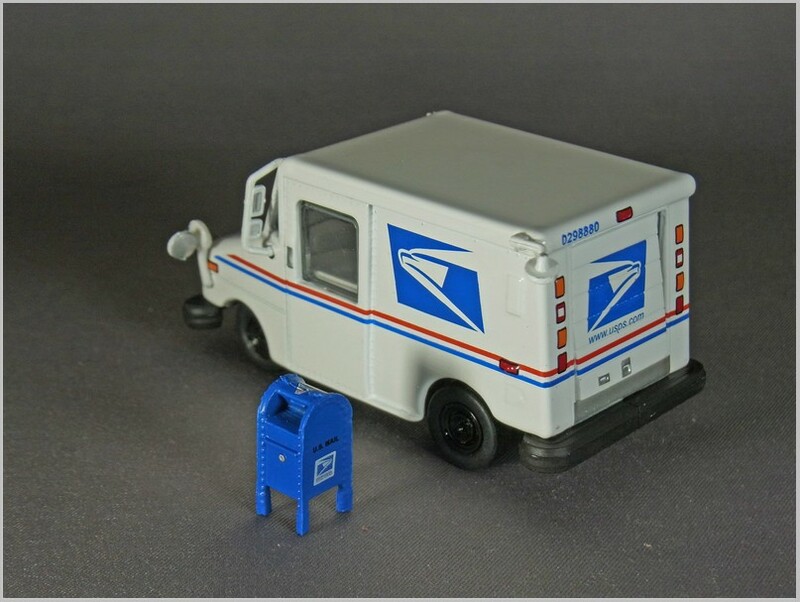 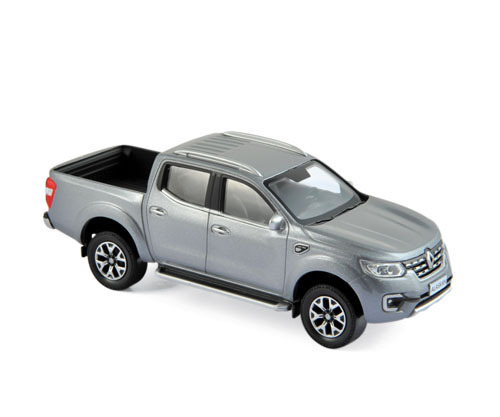 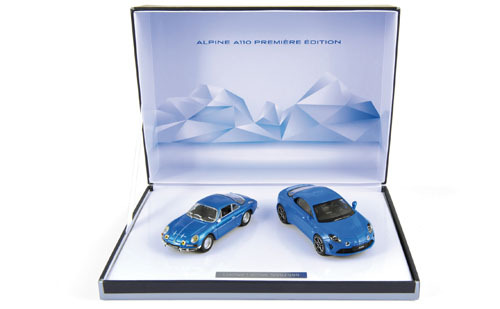 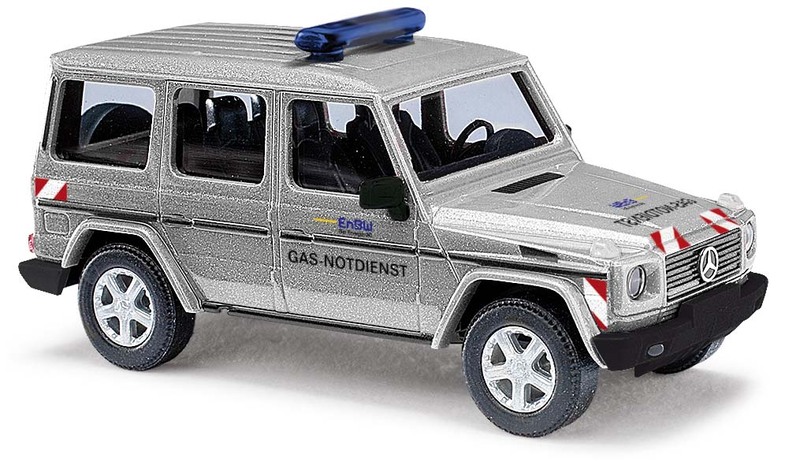 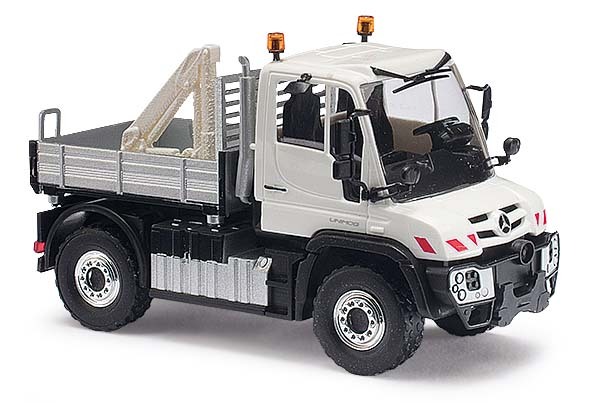 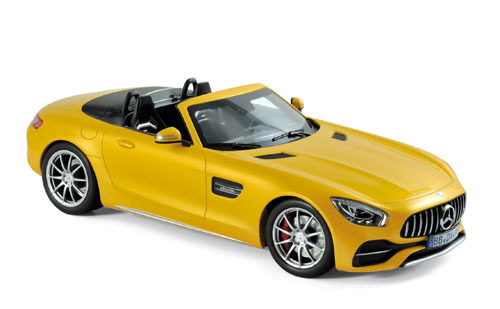 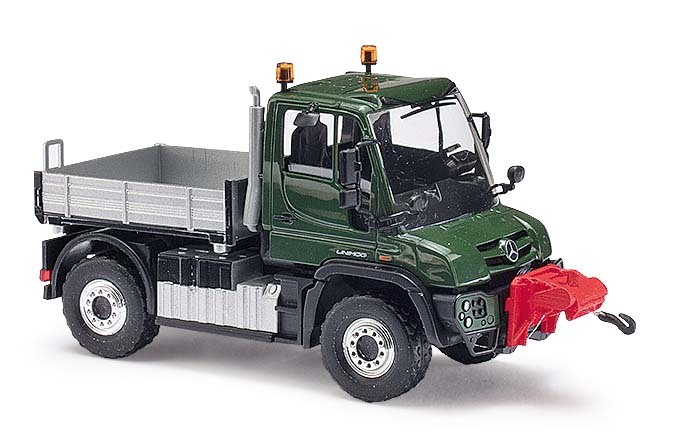 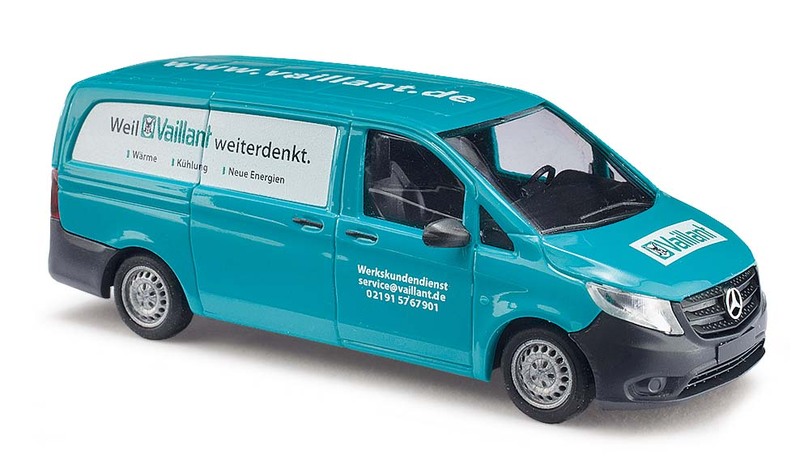 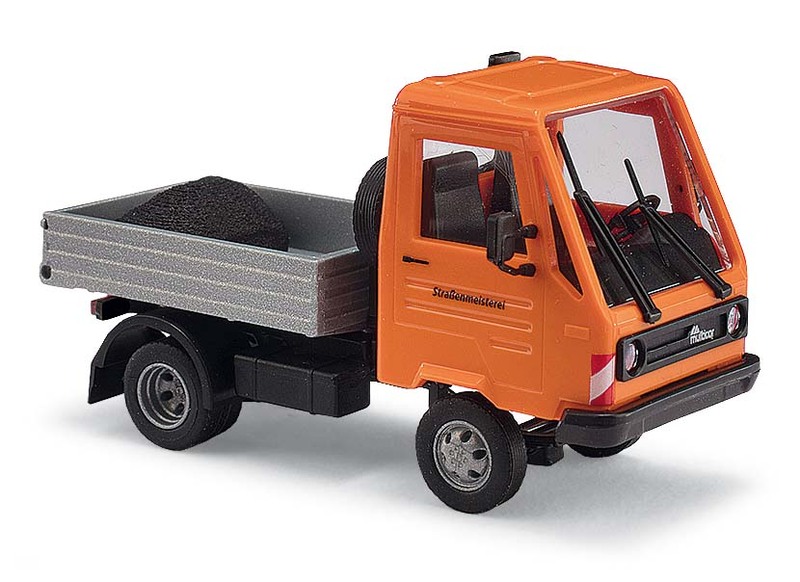 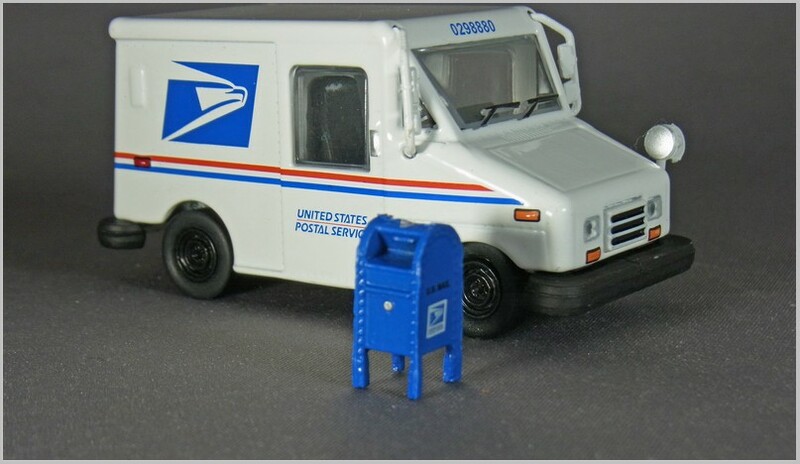 The model is made in China under license from Mattel who own the Dinky brand and is marked as 1:43 scale. 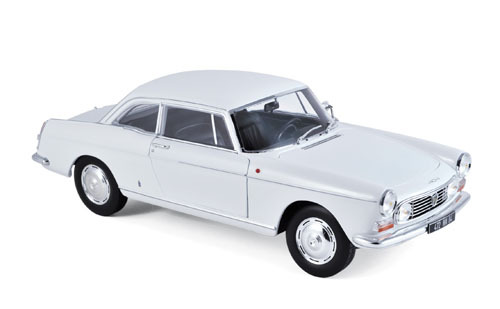 The 404 was styled by Pininfarina and launched in 1960 with the estate coming along in 1962 in three versions, Familiale, Break and Commerciale. 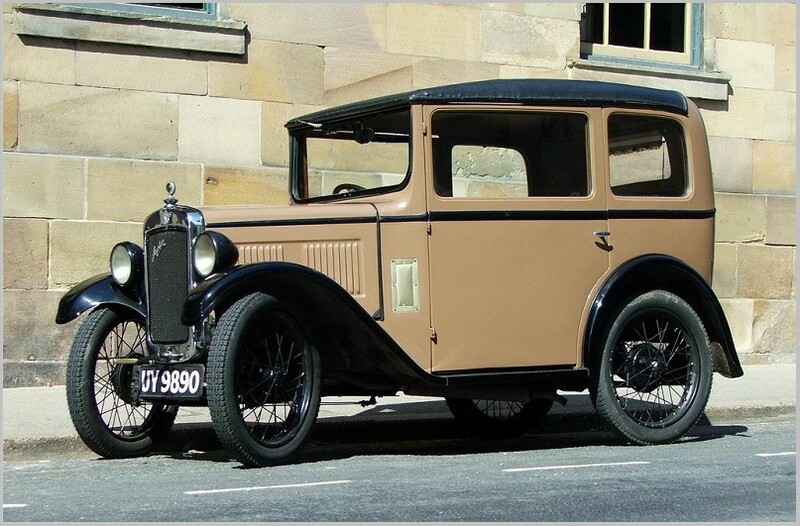 The Family version had three rows of seats whereas the other two just had two rows and the Commerciale was designed to capture the commercial travellers market. 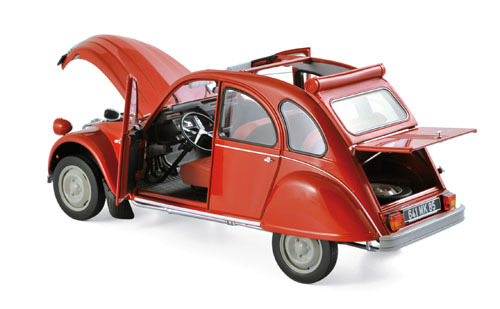 There was a choice between two petrol engines of 1400 and 1500cc and a diesel of 1900cc. 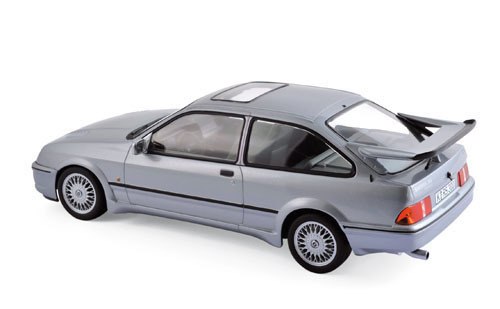 The 404 finally ended production in Kenya in the 1990s so it stood the test of time as a tough car, especially in places where rust was unlikely. 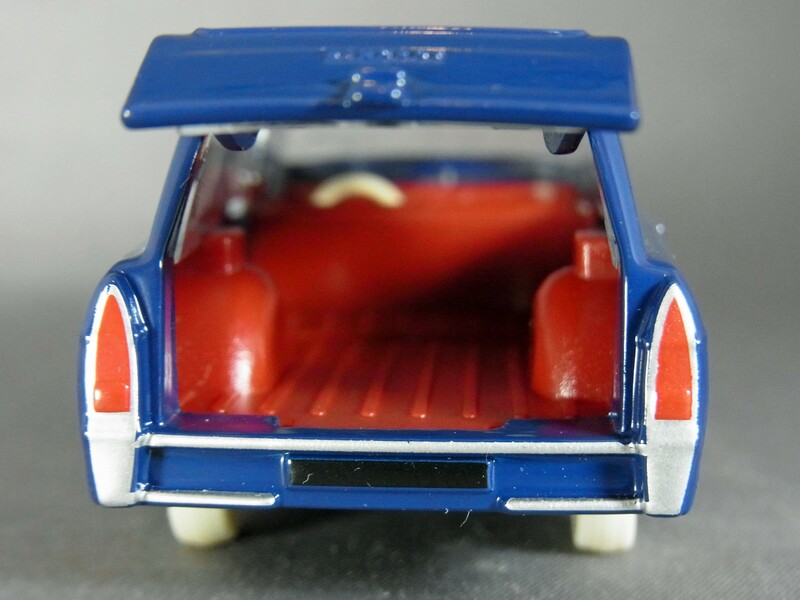 Rear seat upThe Dinky model is nicely reproduced. This model replaced the Peugeot 403 Estate which had been sold since 1959 in 1964. 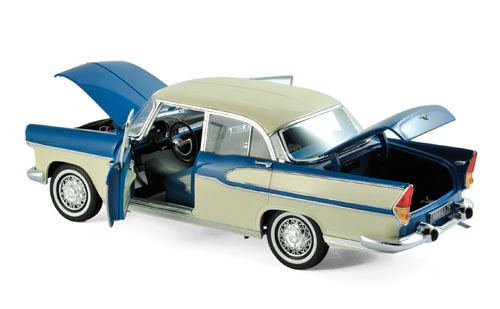 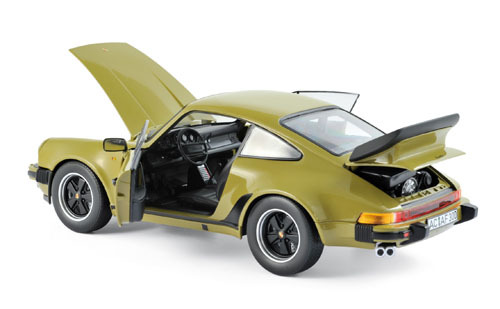 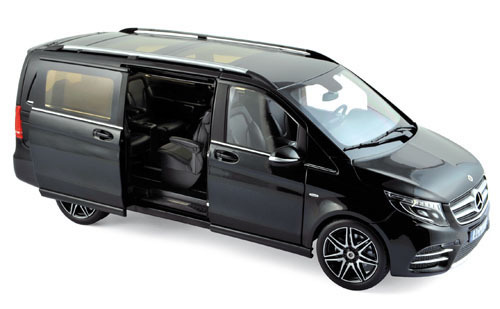 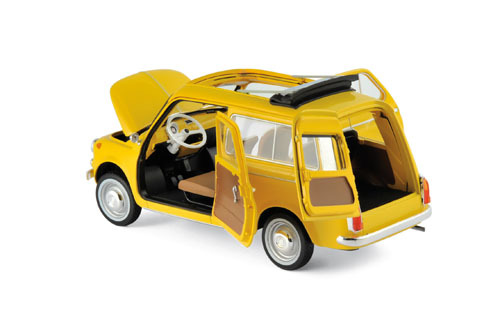 It enjoyed several neat features: the opening rear door will clip into the open position firmly holding the door open. 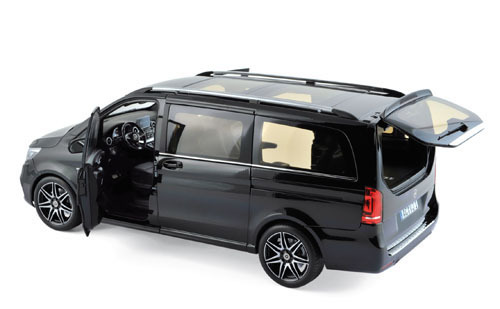 The rear seat can be raised or lowered using a knurled wheels just ahead of the drivers side rear wheel. 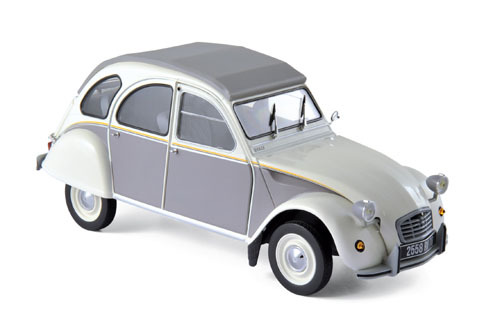 Some semblance of steering is provided but it is poor, to balance that it is fitted with Dinky France’s jaunty white tyres. 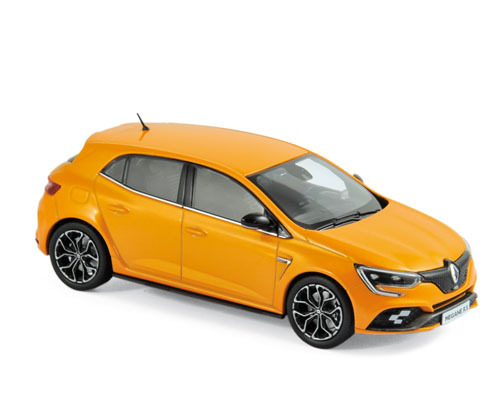 The badging is moulded in in a basic manner and there is no paint on door handles or other fitments other than bumpers, side lights and rear light surrounds. 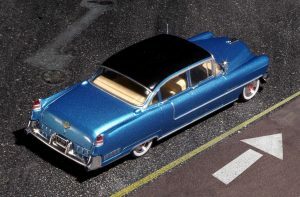 The headlights are yellow jewels which reflect what was originally fitted. 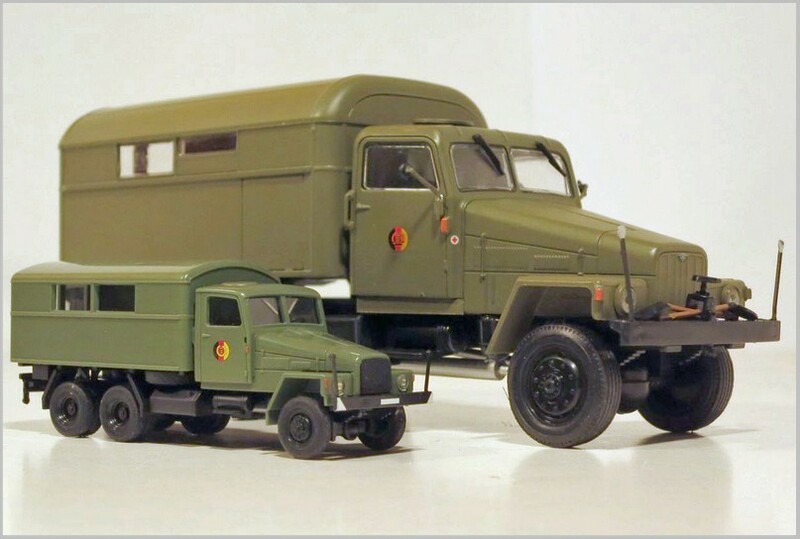 All true to the illustrations I have seen of the original. 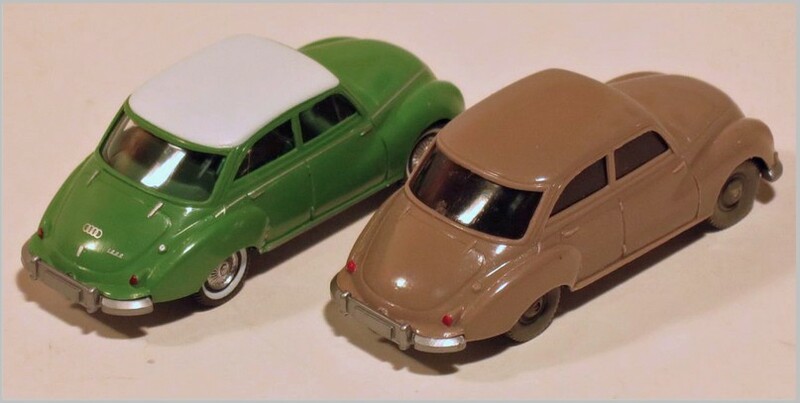 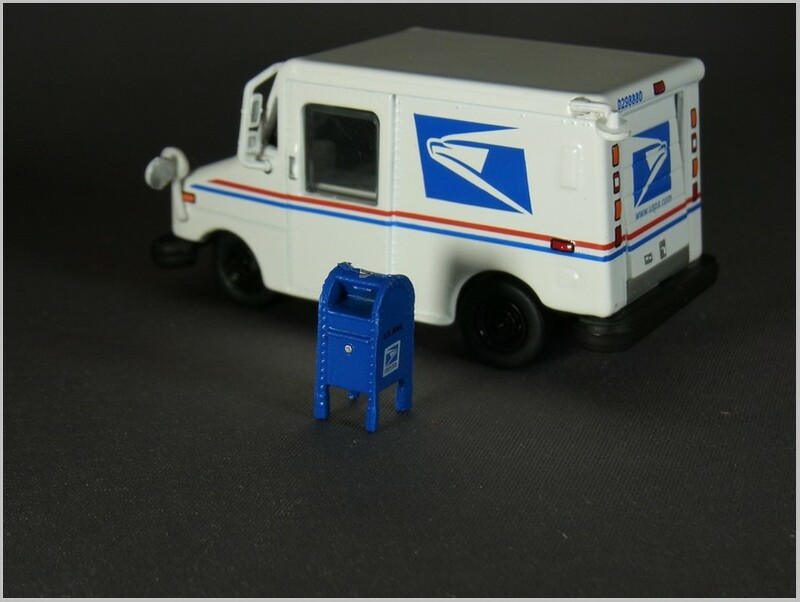 Comments on collectors bulletin boards show that some people are very disappointed with the Deluxe Dinky series and even if they like the models they don’t consider them special enough to match the original way the series was sold. I imagine subscriber numbers are falling jow, especially when DeAgostini sell some of the models directly on their own web site. 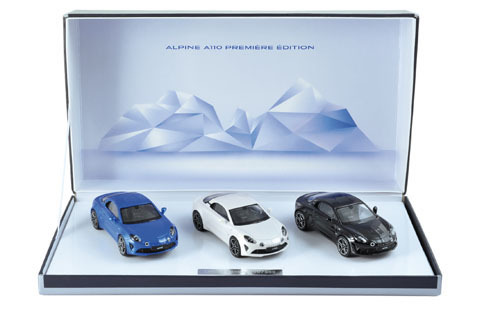 Bulletin boards also reveal the fact that Atlas are closing series down all across Europe and are failing to provide all the models released in the series to later subscribers. 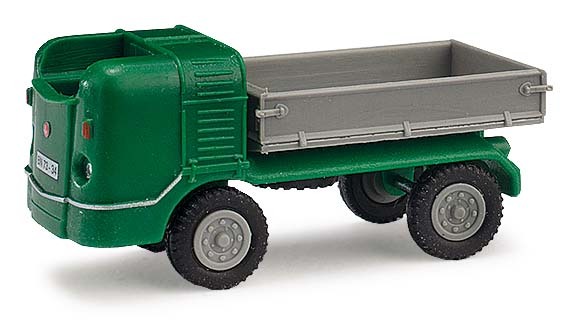 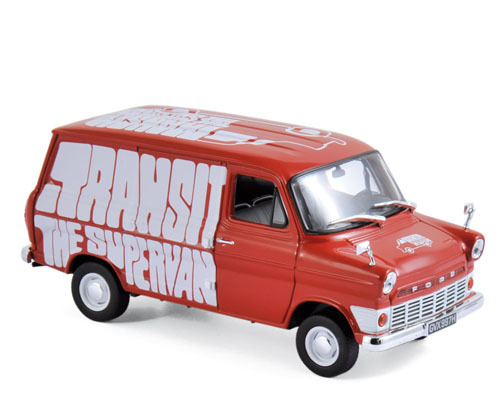 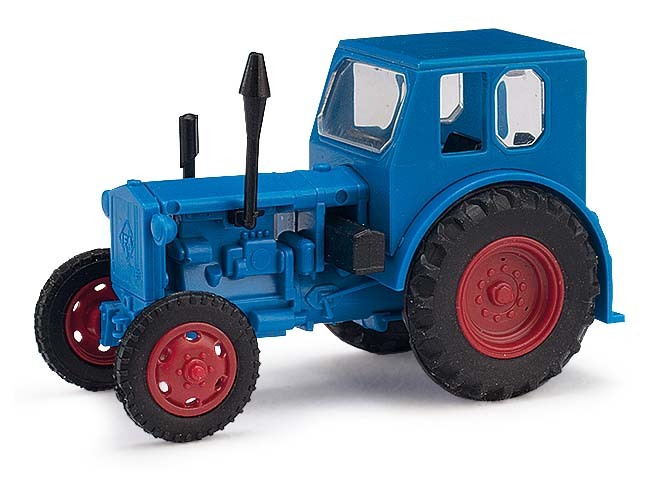 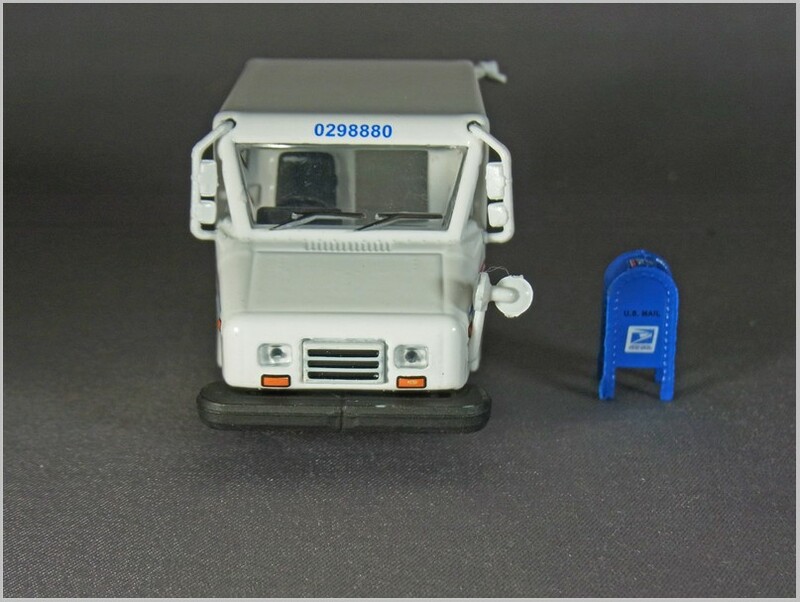 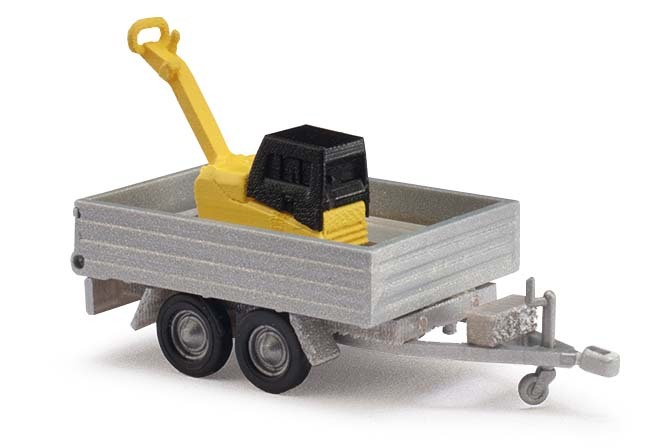 There are many complaints about the Stobart and UK Dinky Truck Series which appear to be ended for some collectors without several models being supplied. 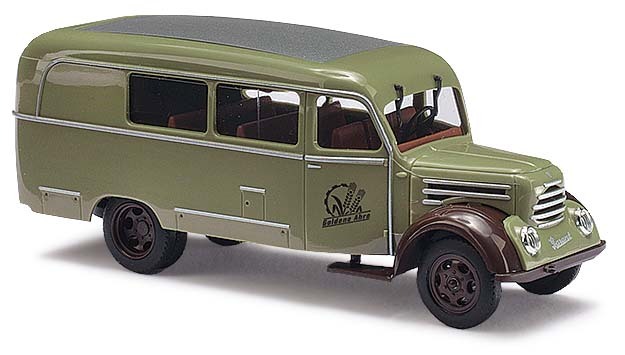 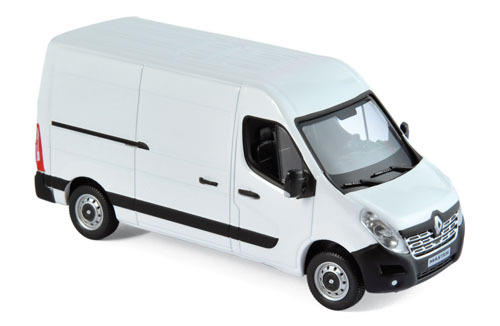 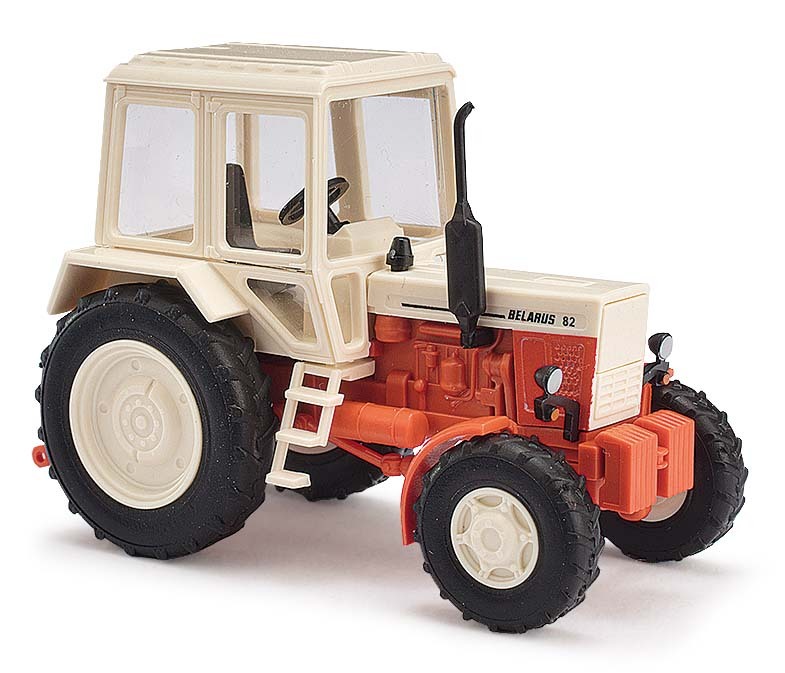 UK wholesalers now seem to have substantial stocks of Atlas models from UK and Continental series so it does seem that the rumours that Atlas are closing down their sales of transport models may not be far from the mark.